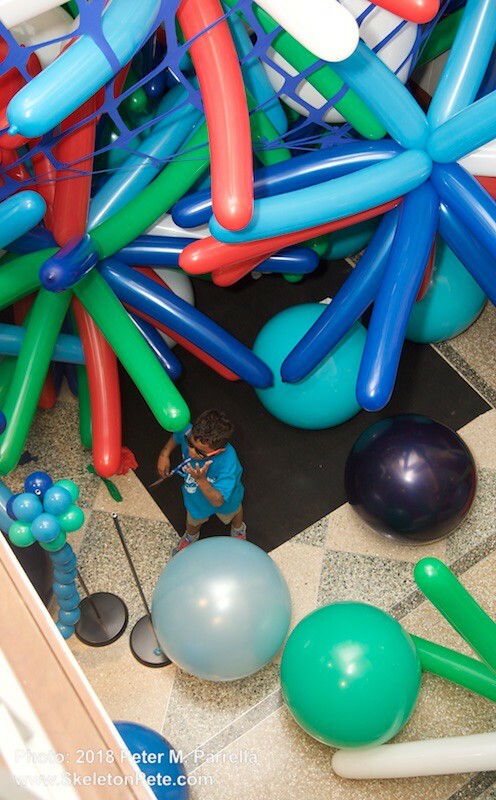 Confronted by a gigantic balloon maze upon our first steps into The Toy Insider’s 2018 Sweet Suite Andy and I knew we weren’t in Kansas (well Brooklyn) anymore. 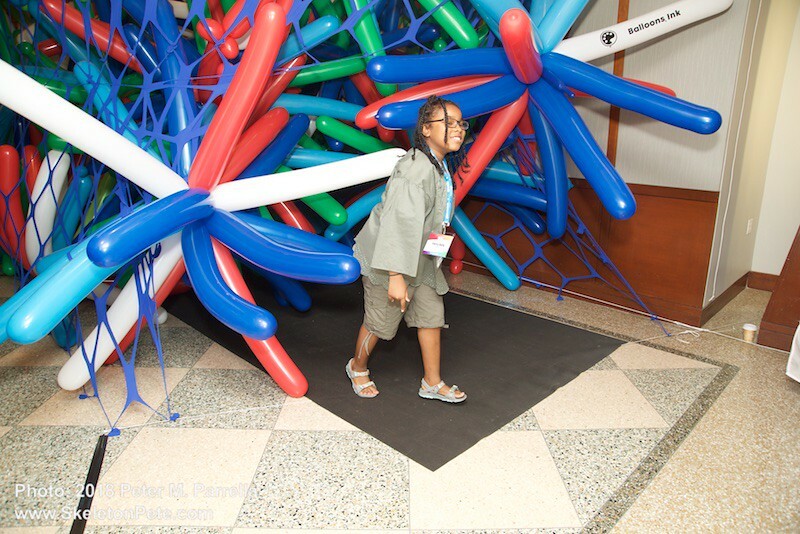 Though we opted for the geezer method of entering alongside the two story mass of inflatables, most of the younger attendees chose to work their way through the undulating portal. 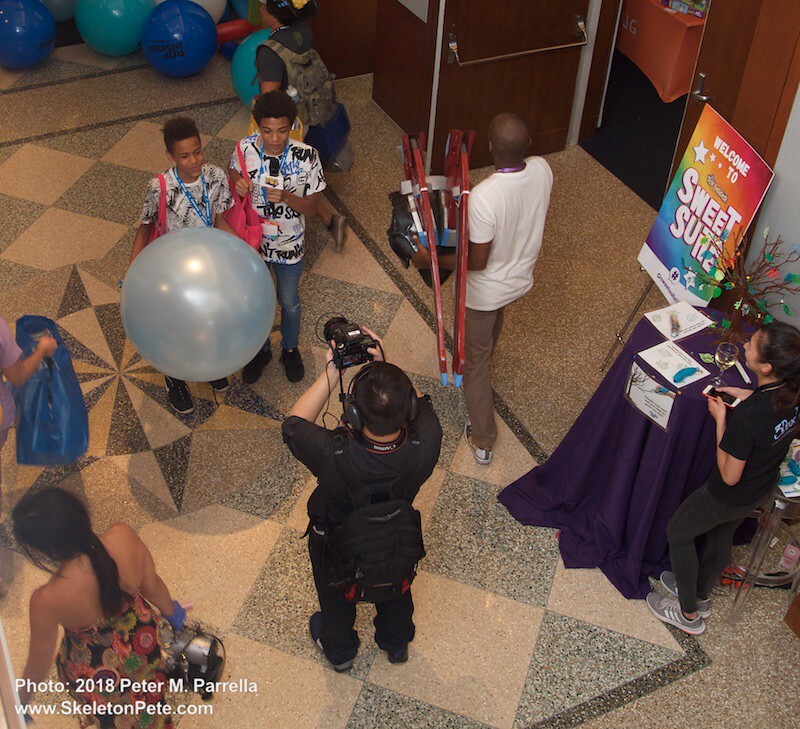 Explosive pops accented their journey while outsized balloon balls roamed the floor reminding me of Rover from The Prisoner TV series. 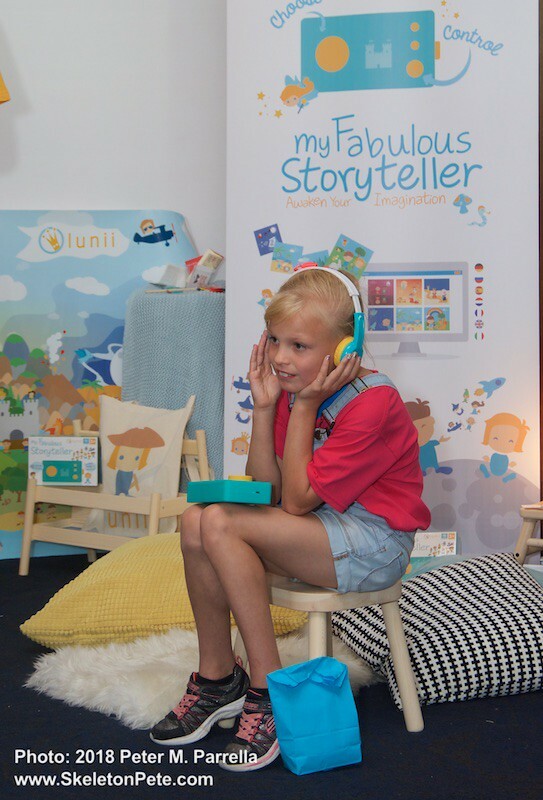 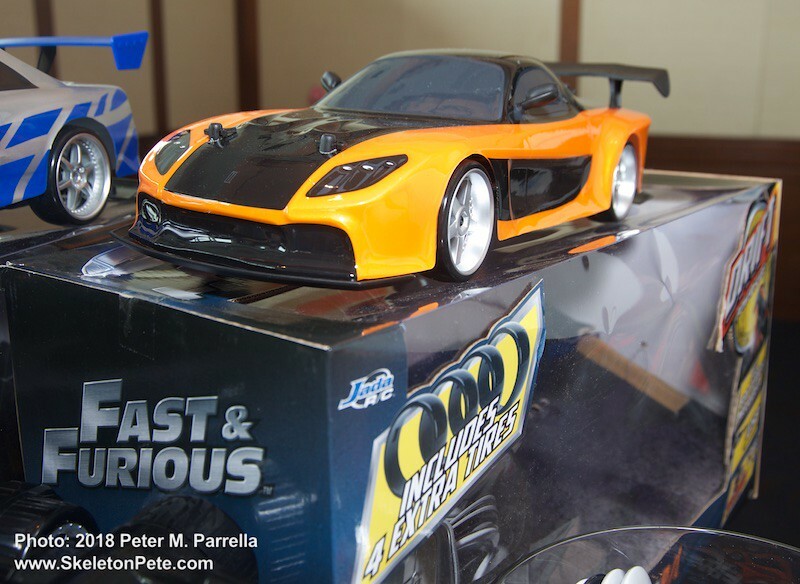 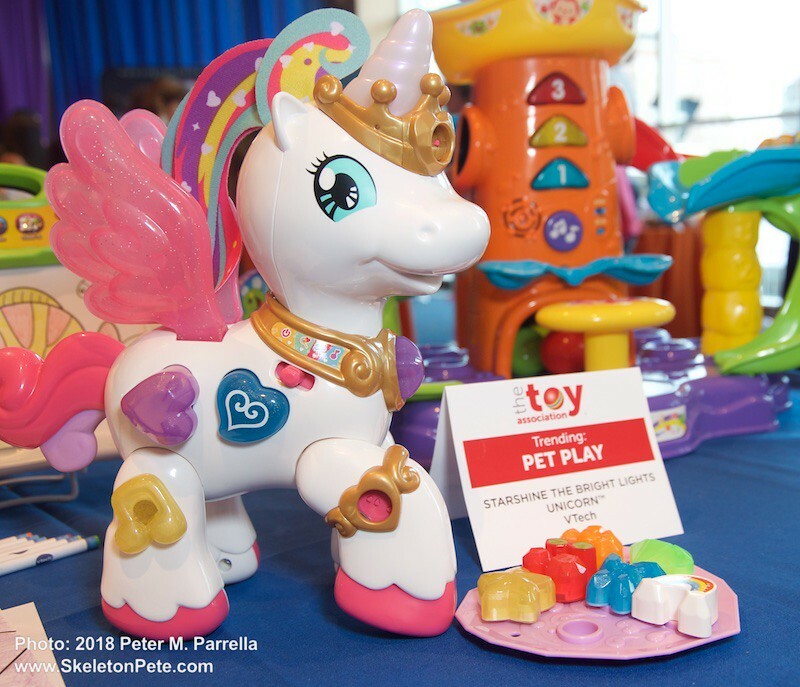 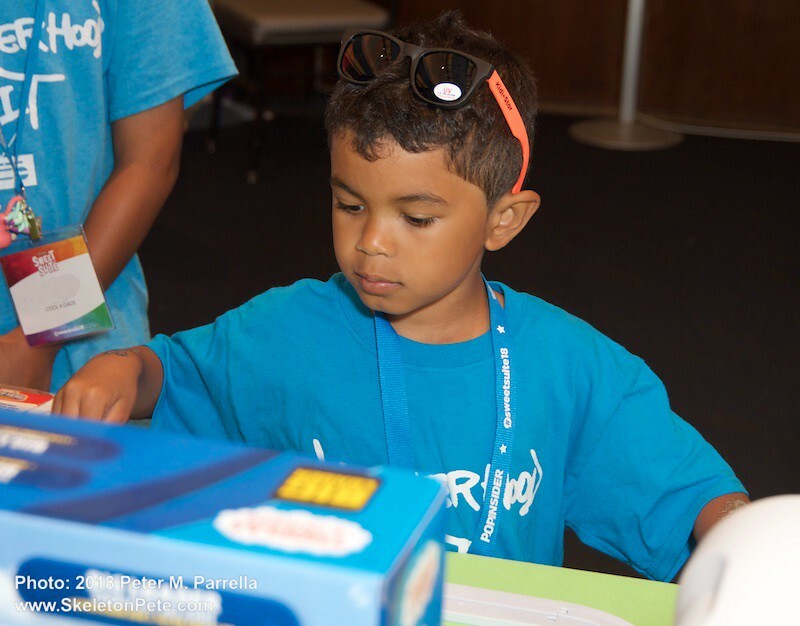 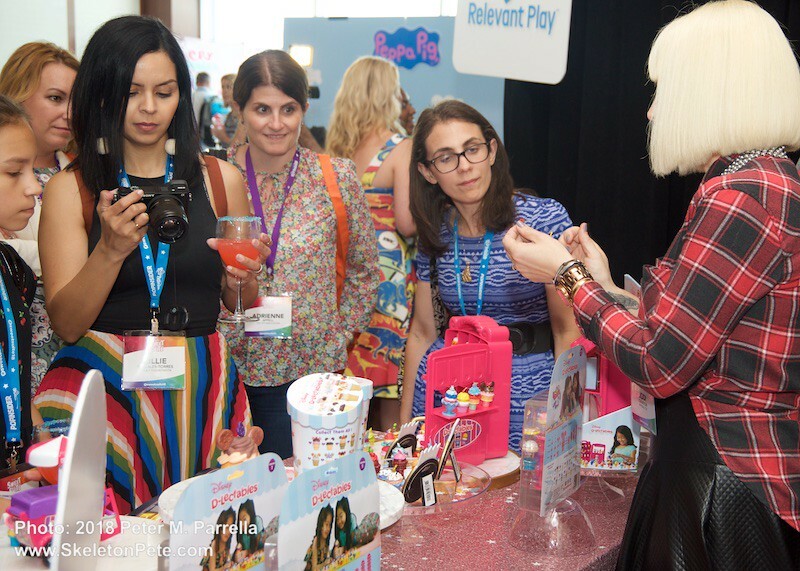 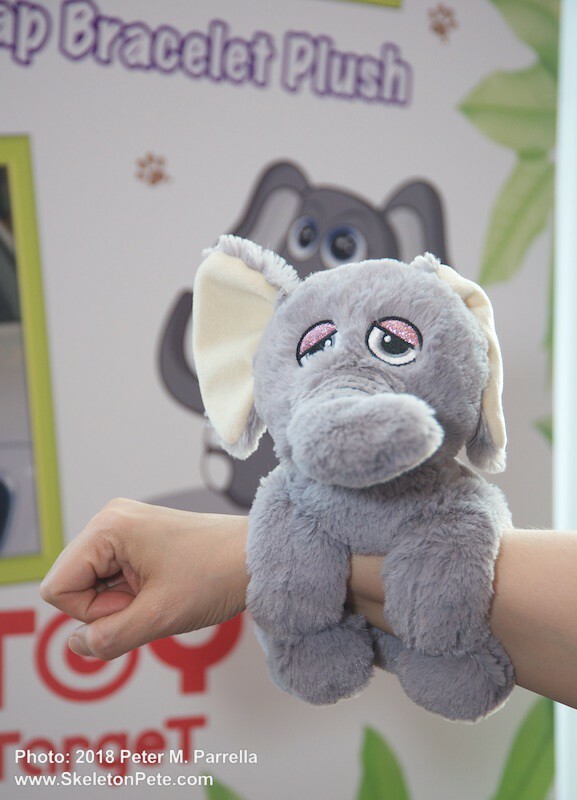 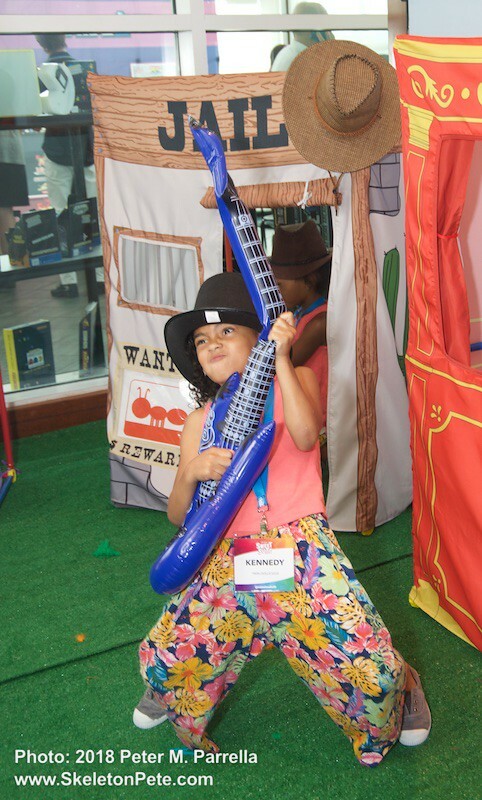 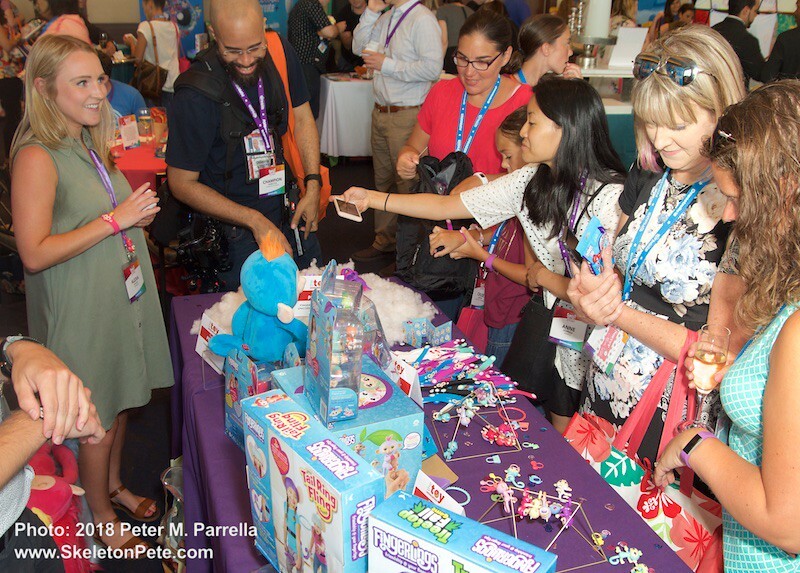 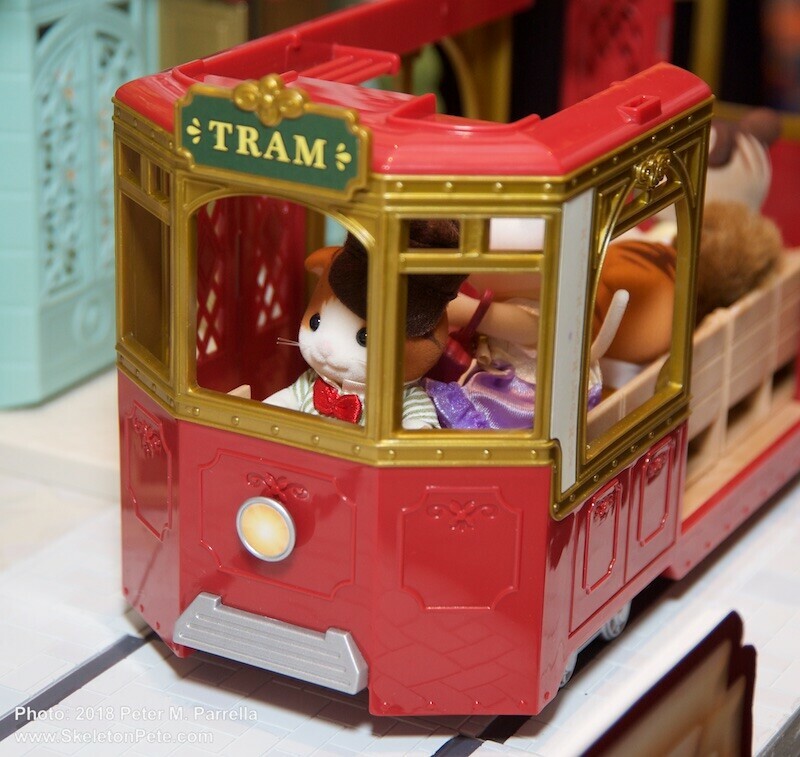 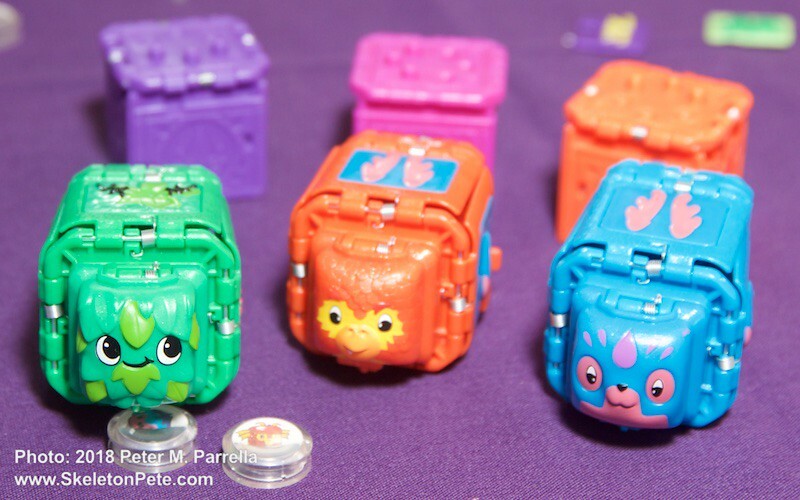 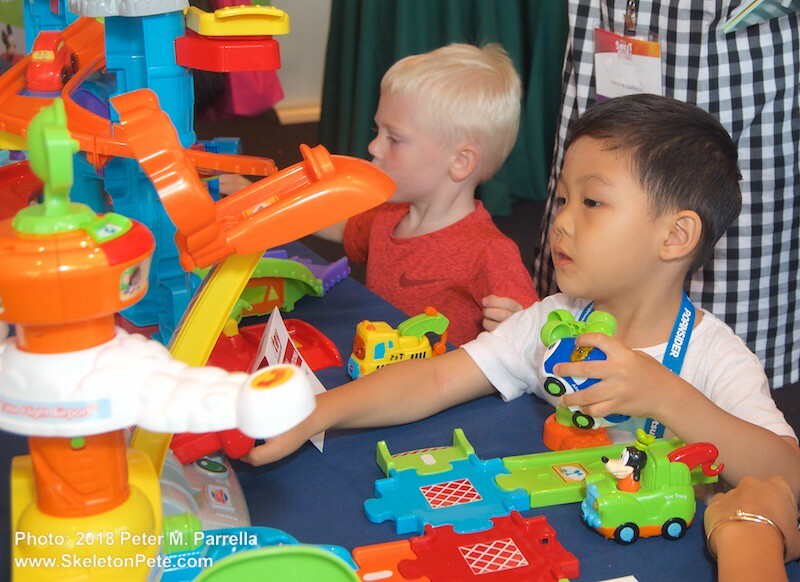 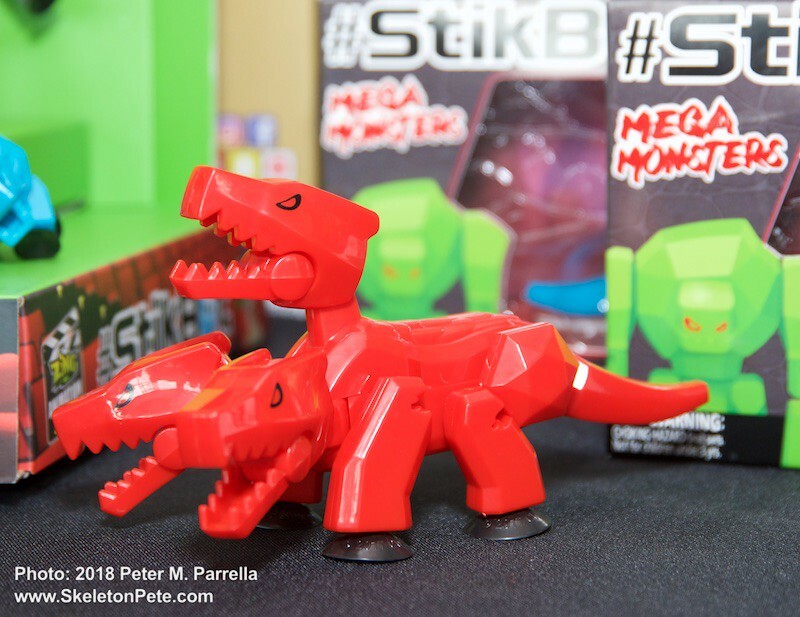 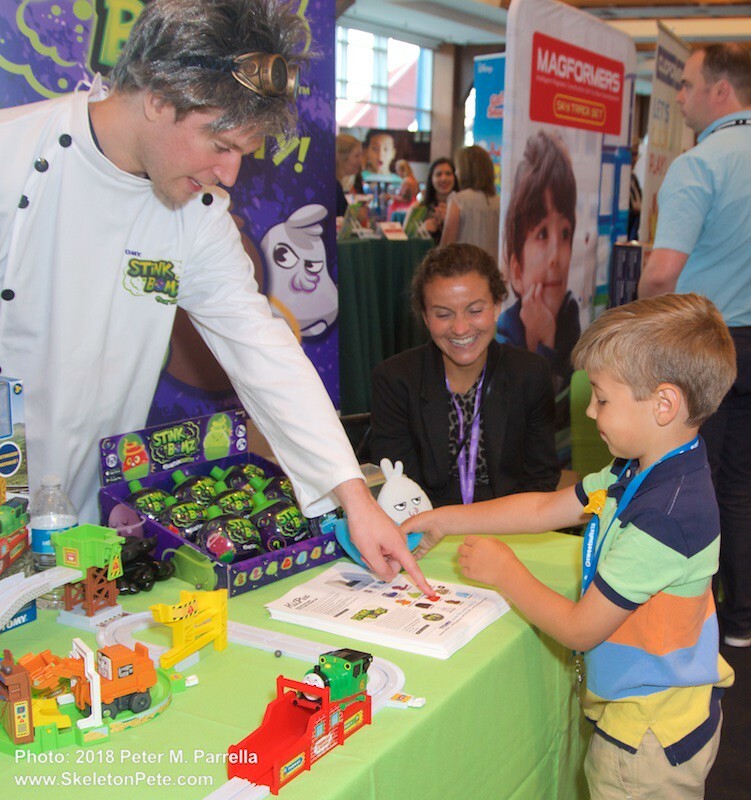 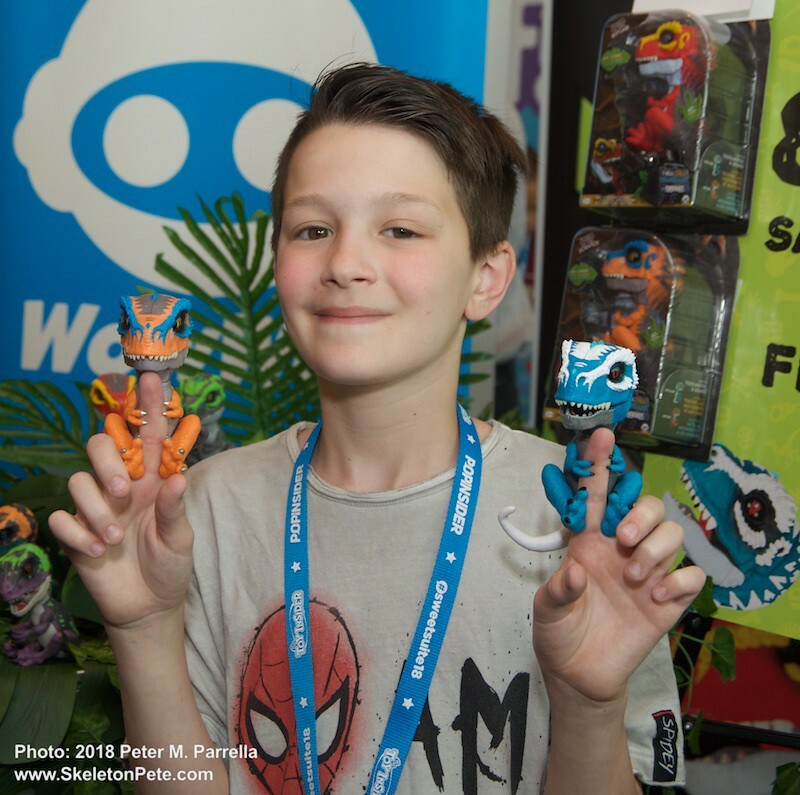 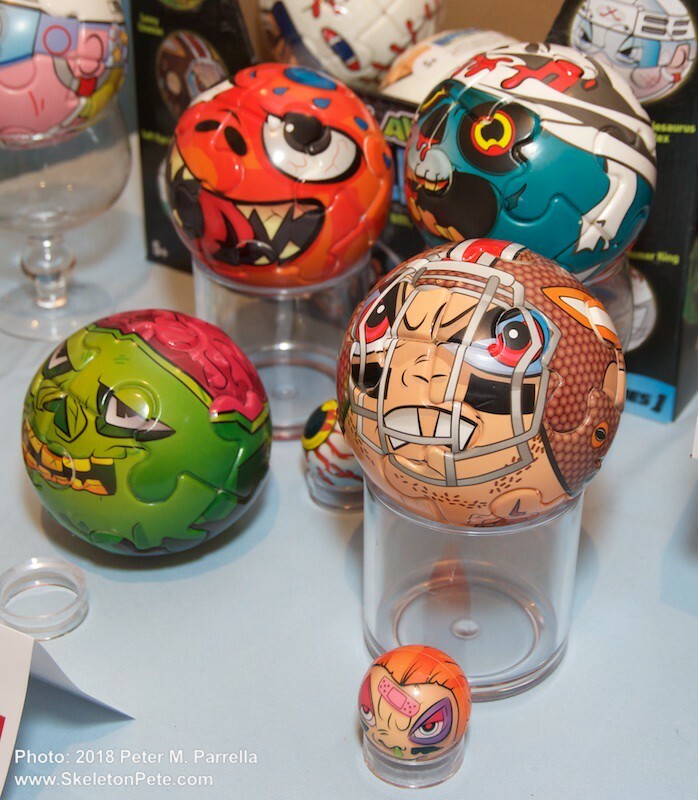 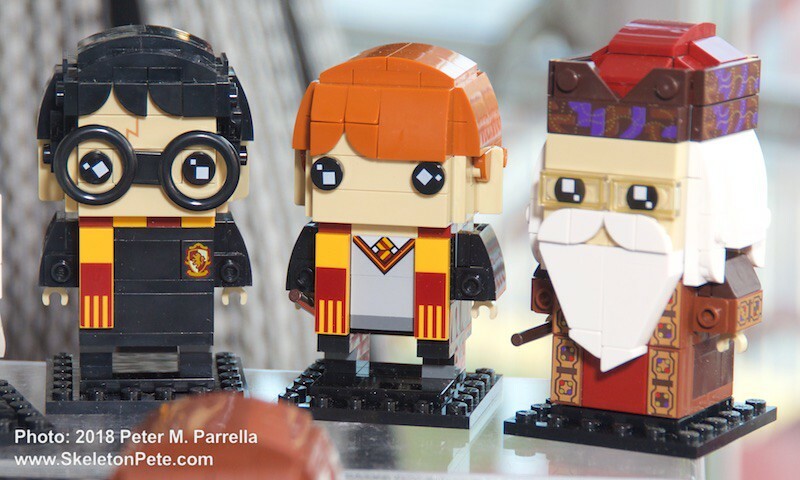 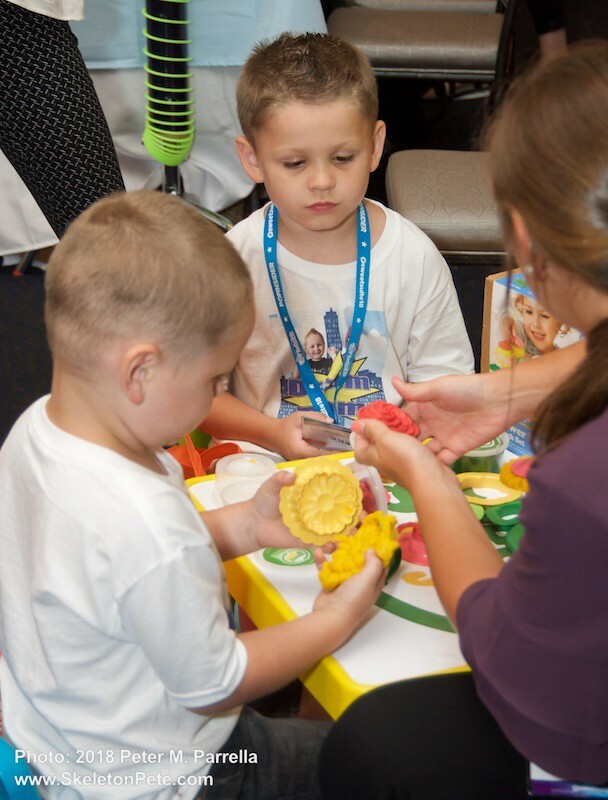 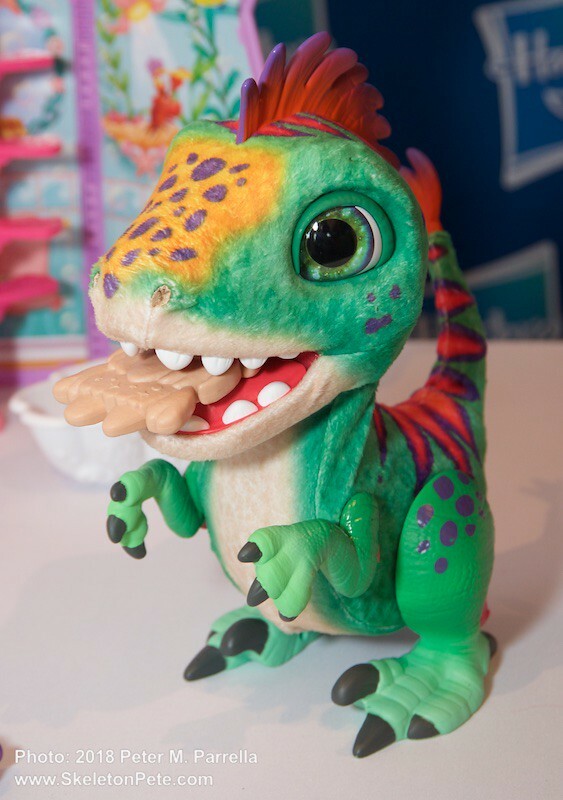 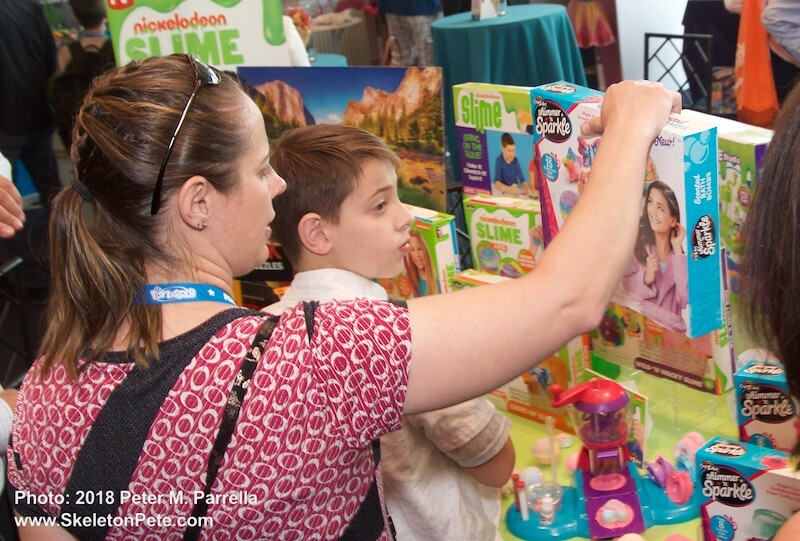 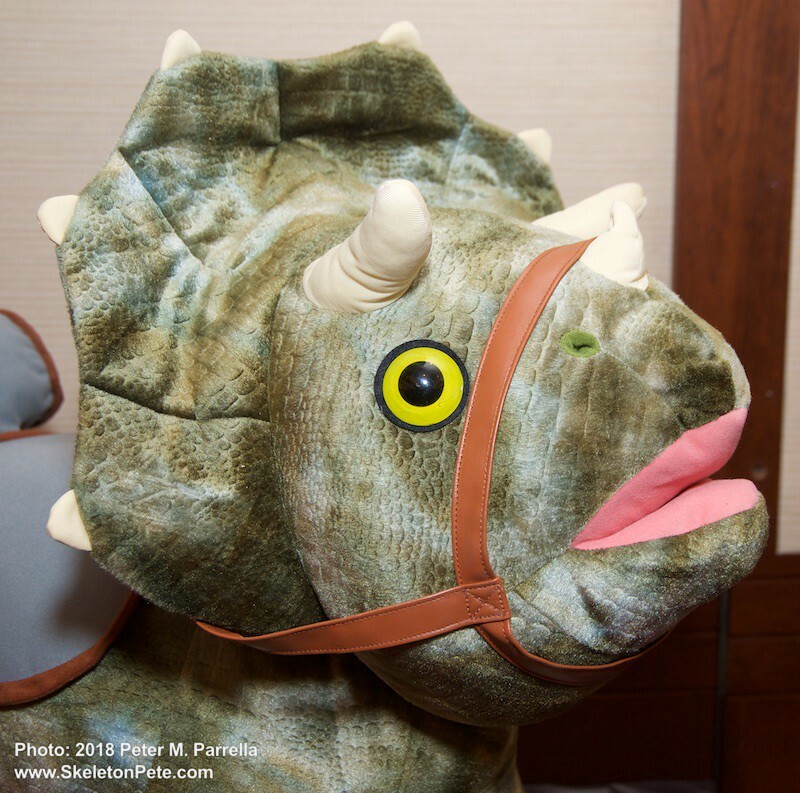 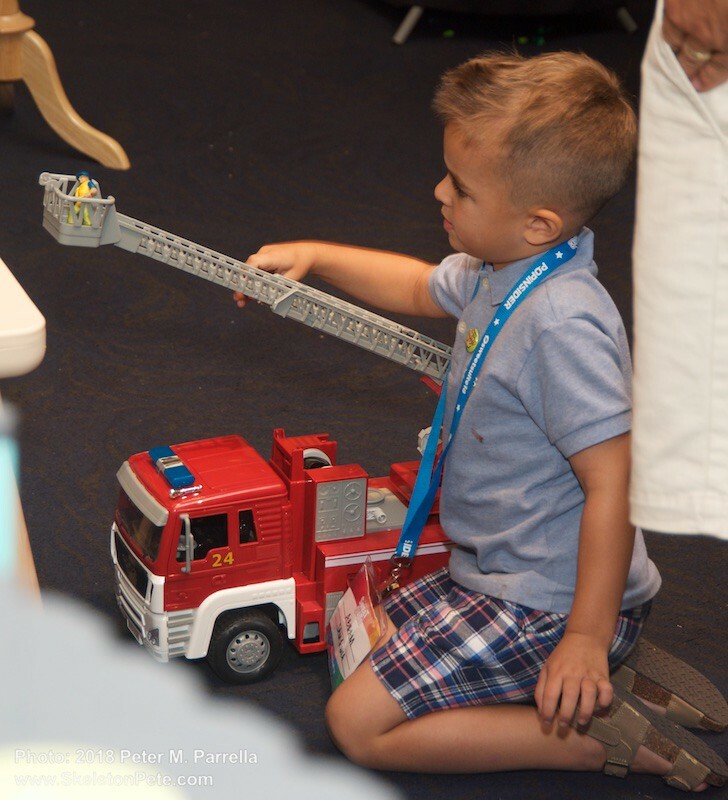 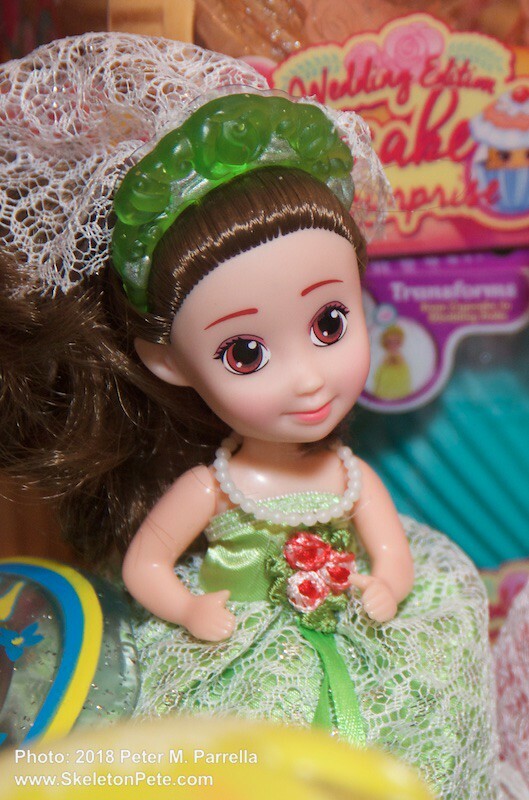 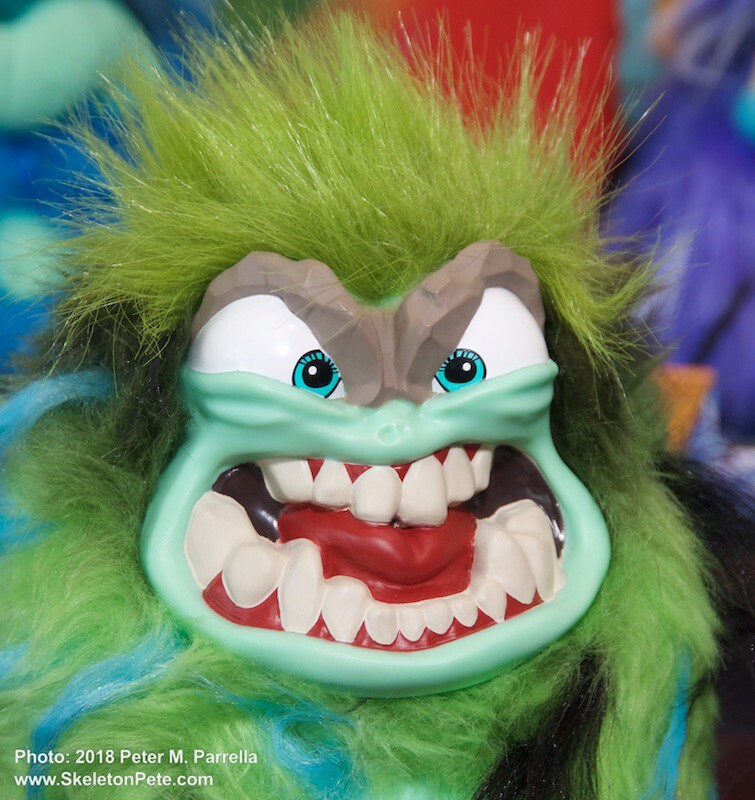 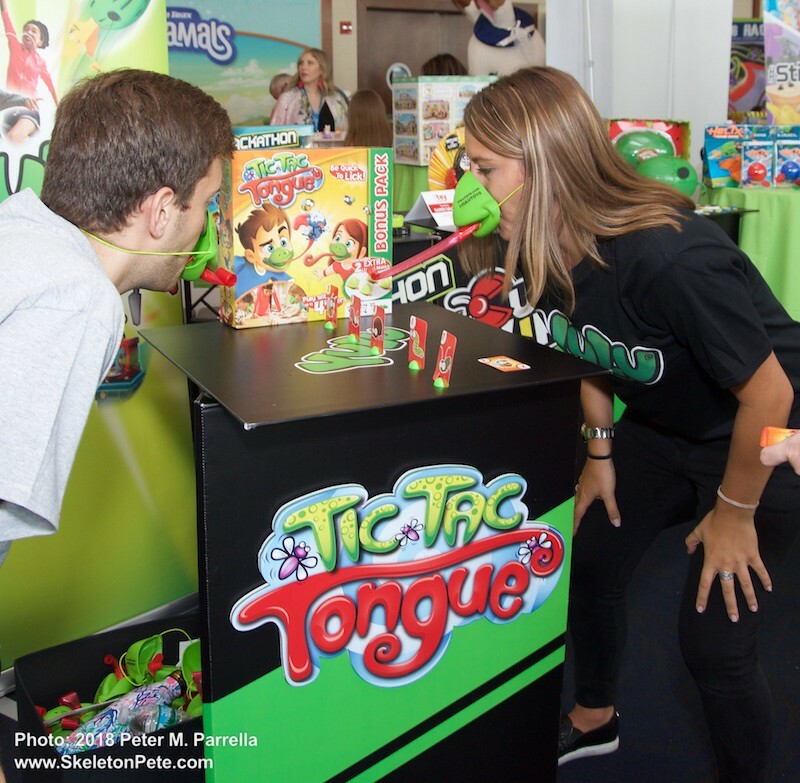 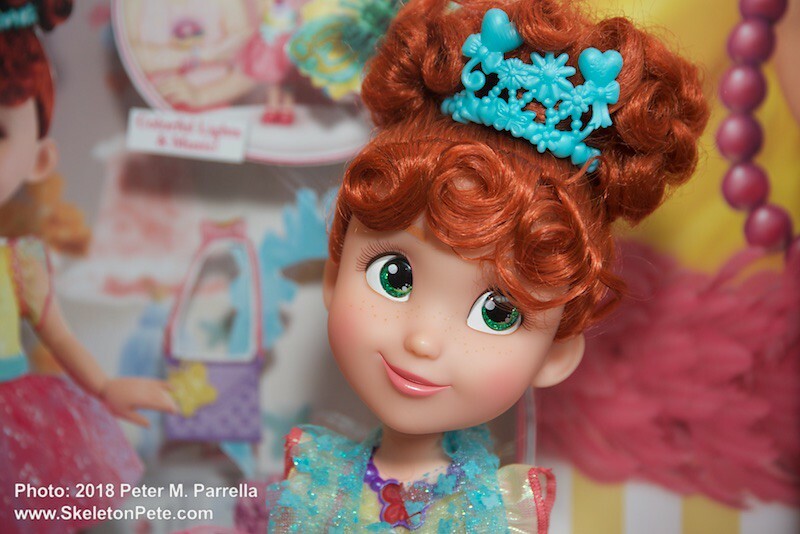 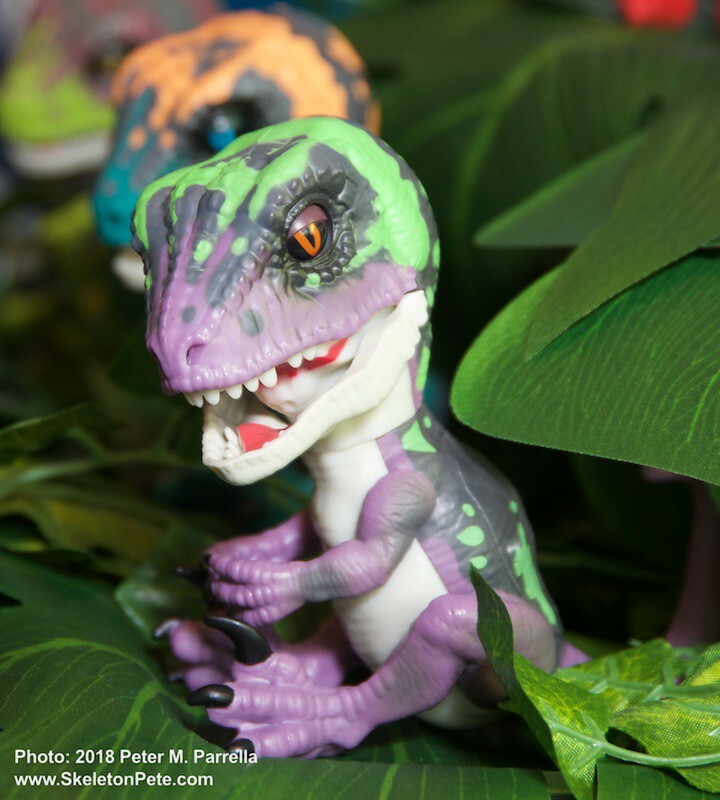 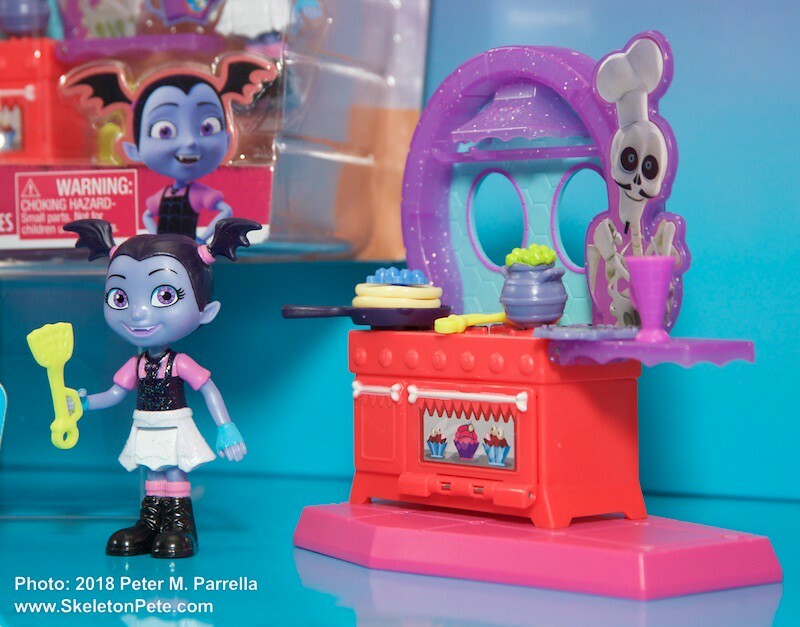 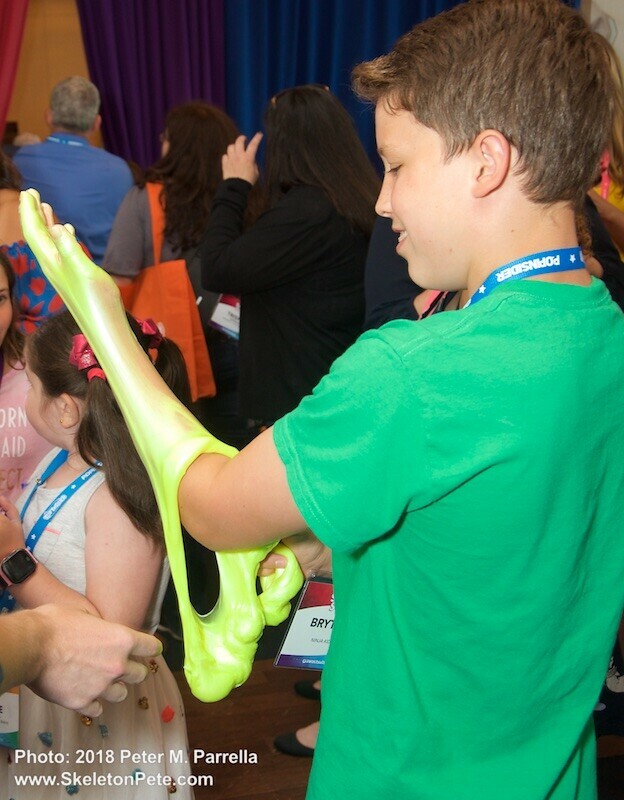 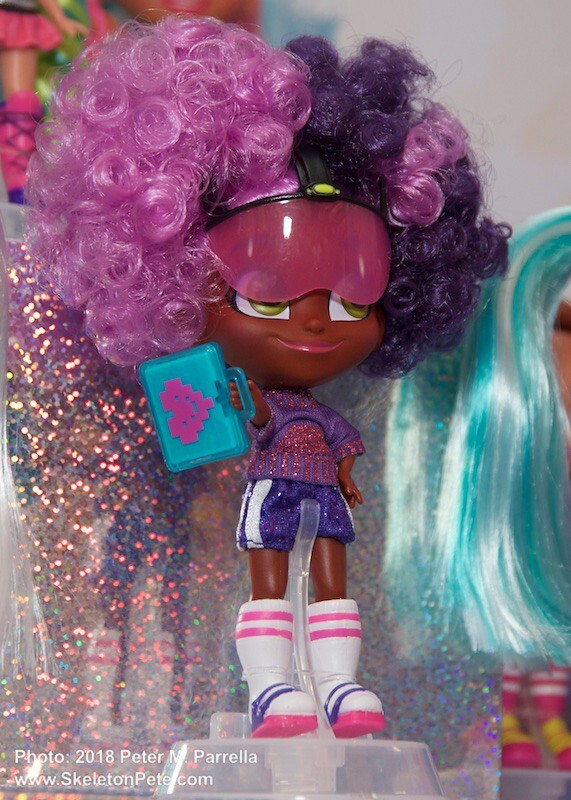 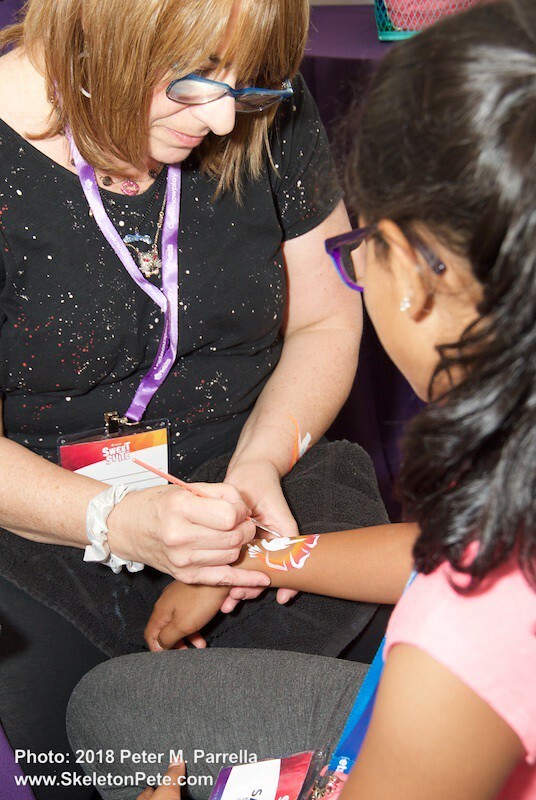 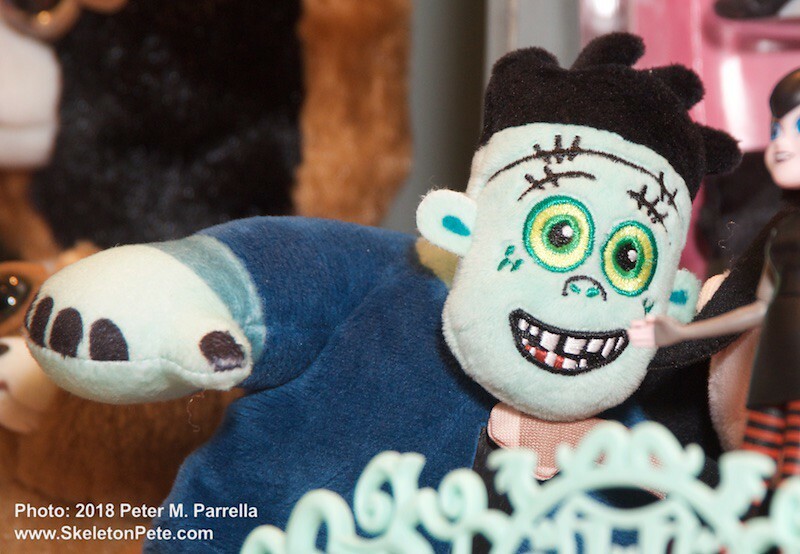 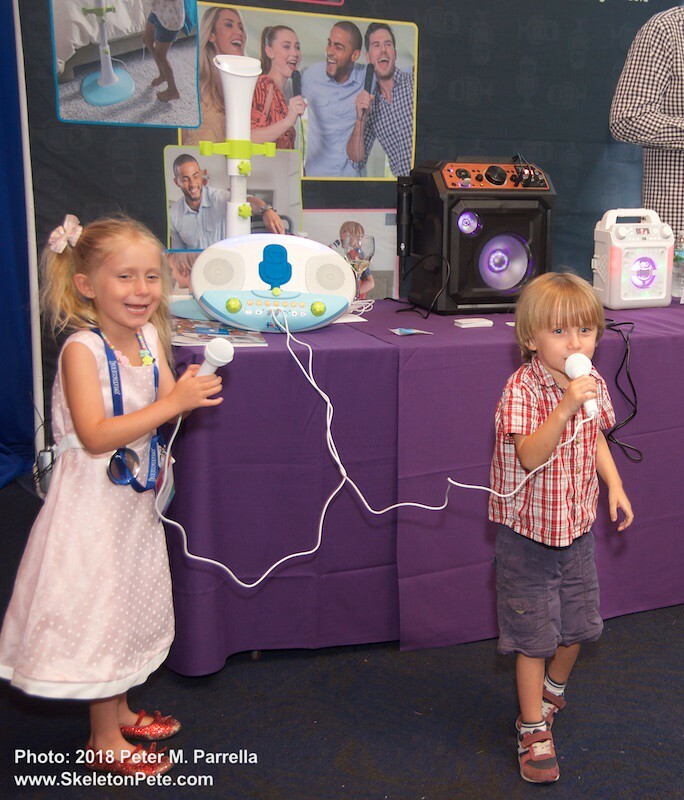 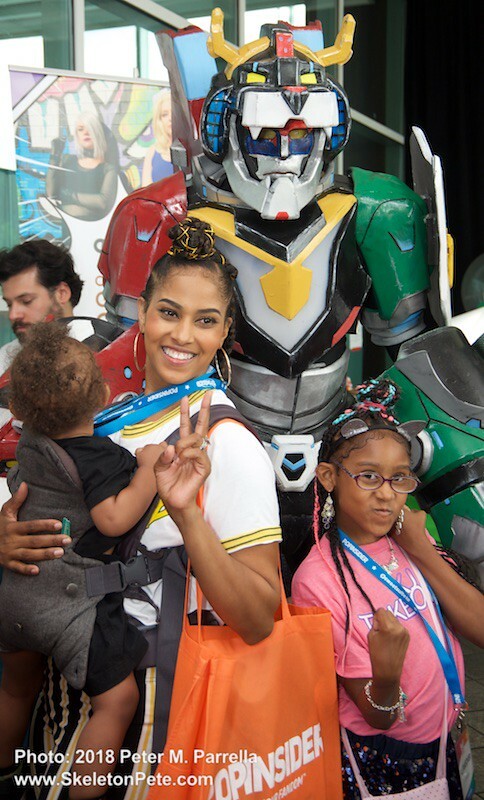 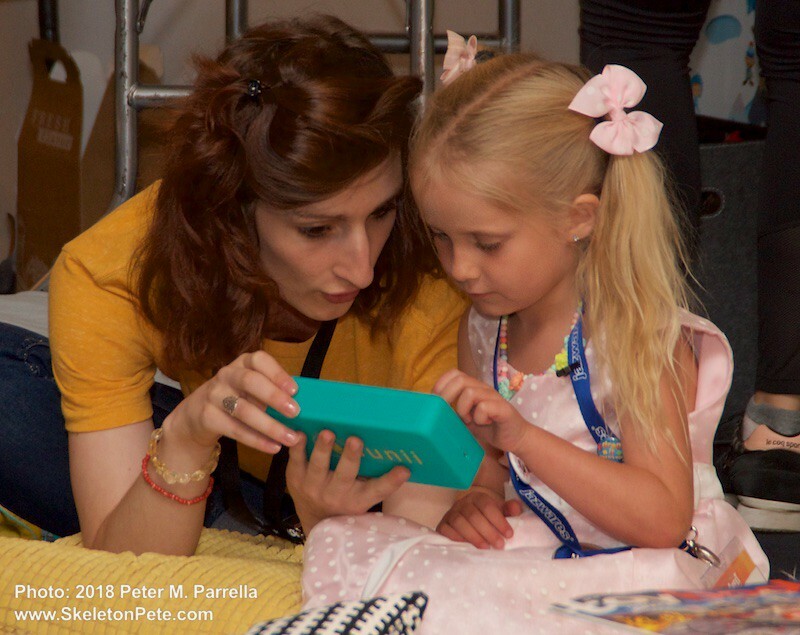 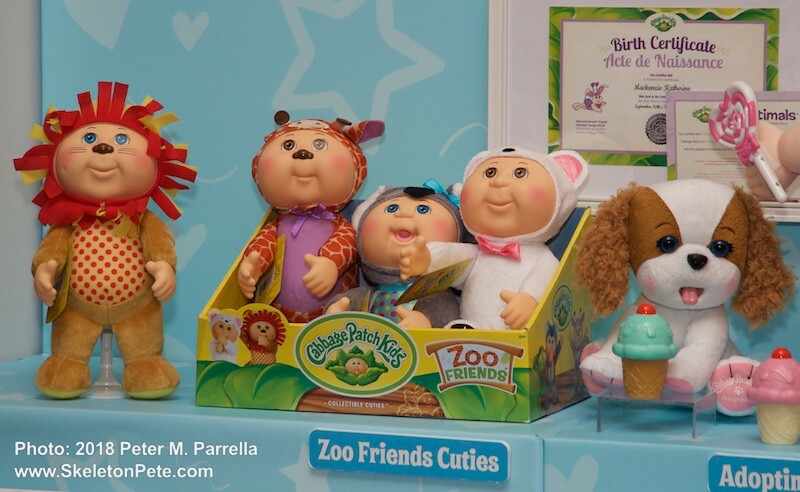 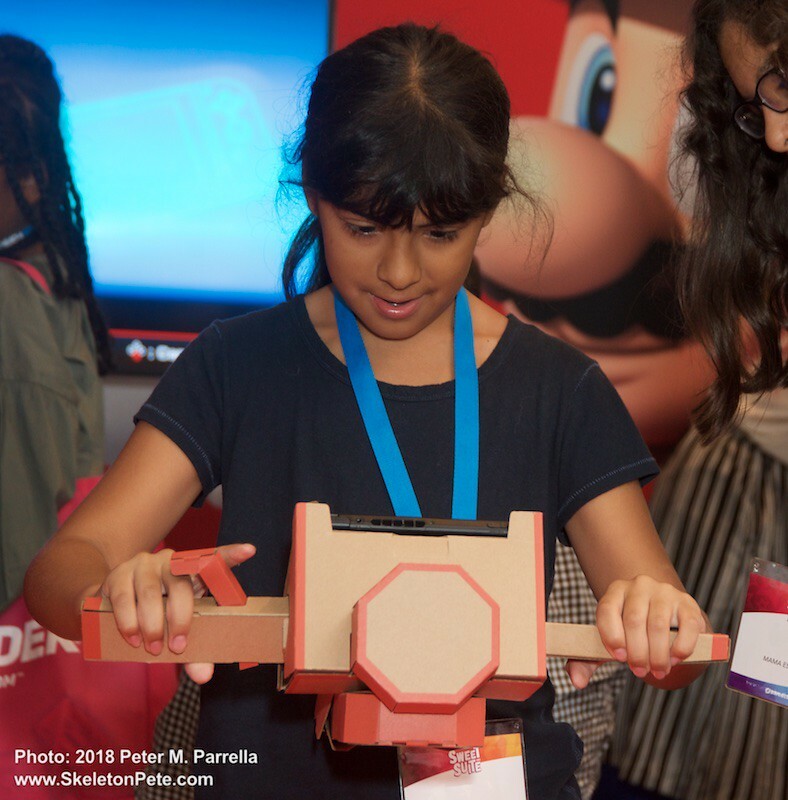 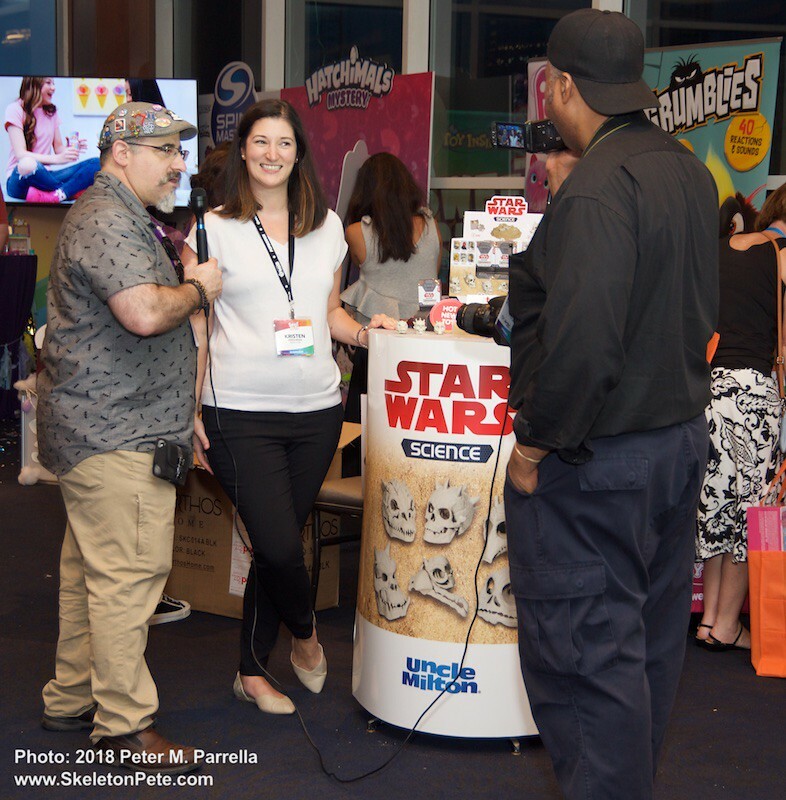 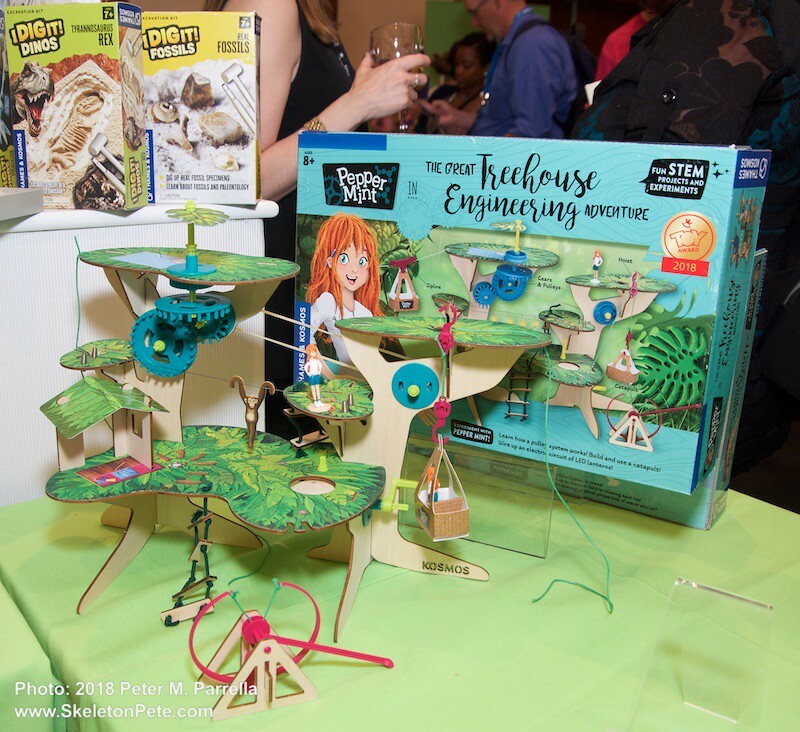 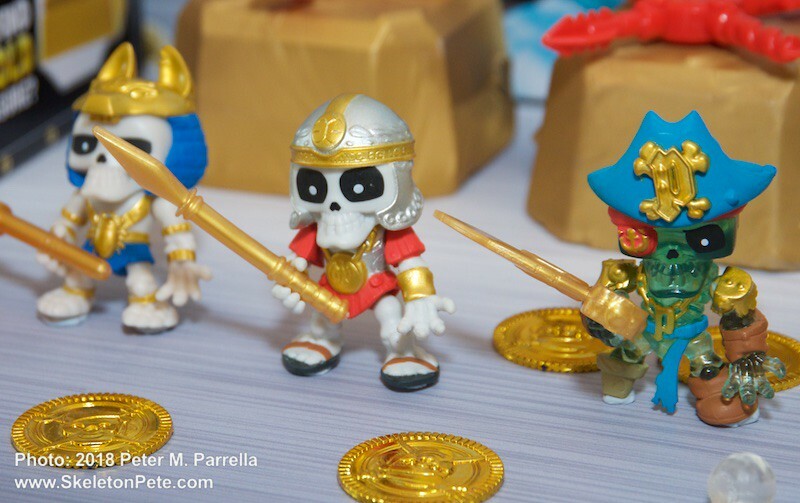 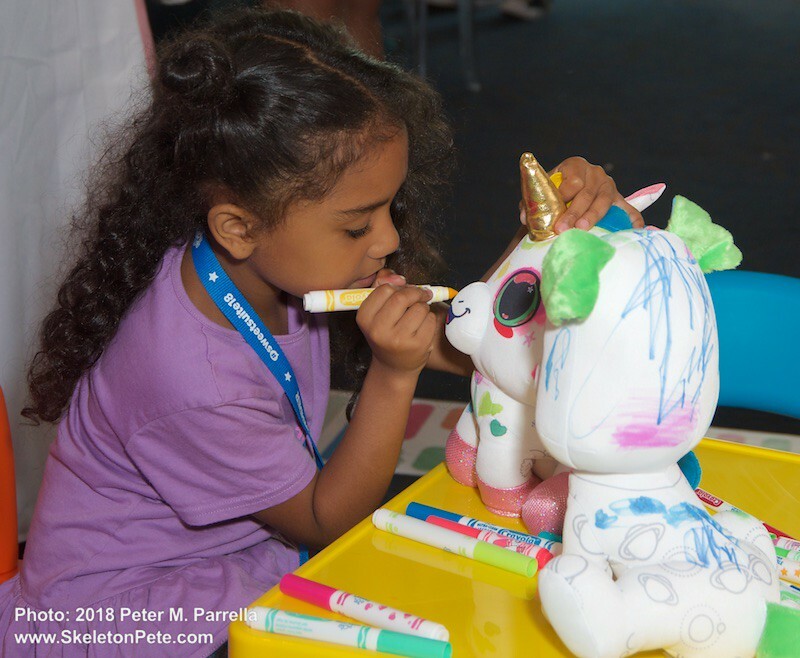 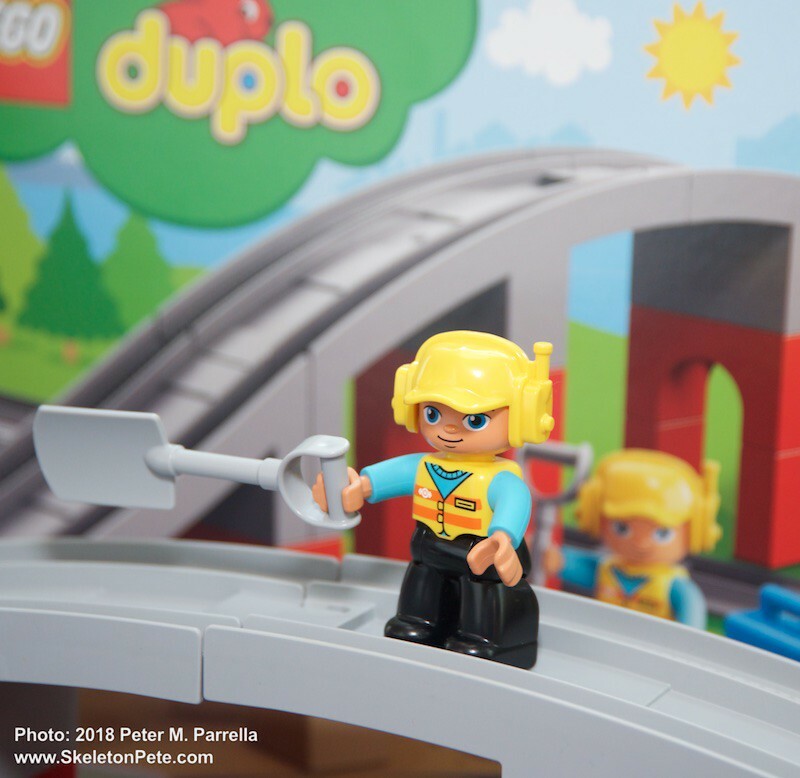 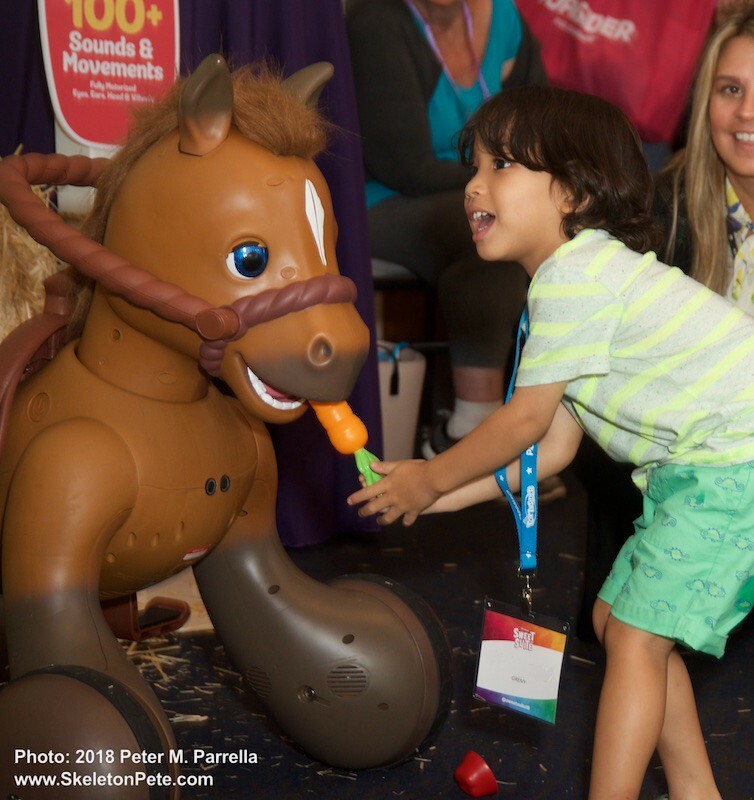 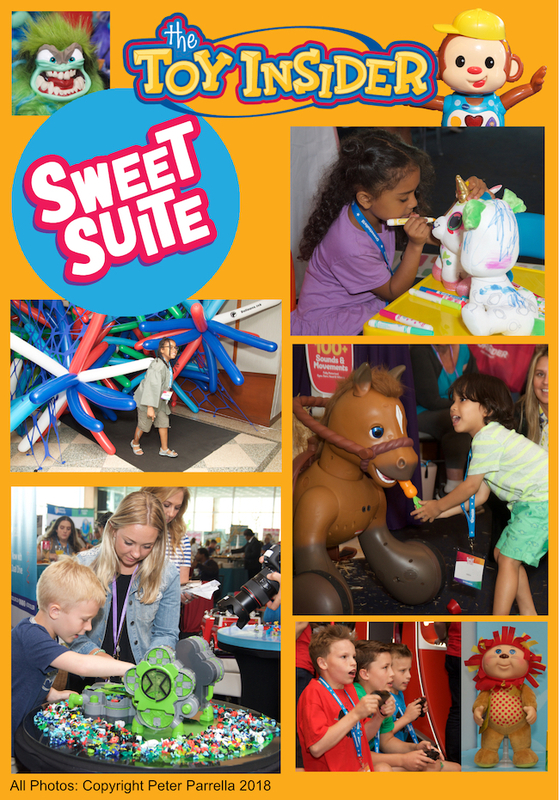 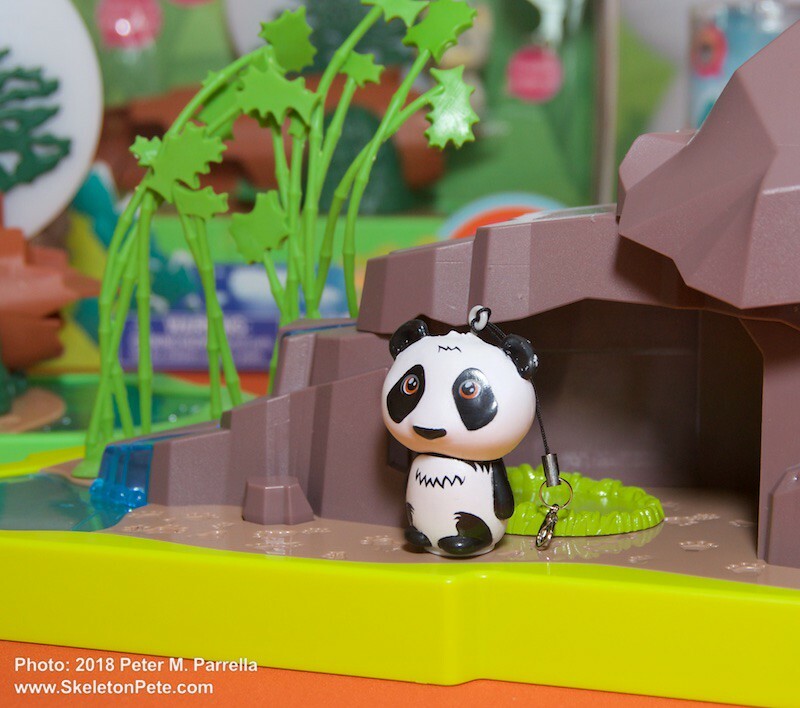 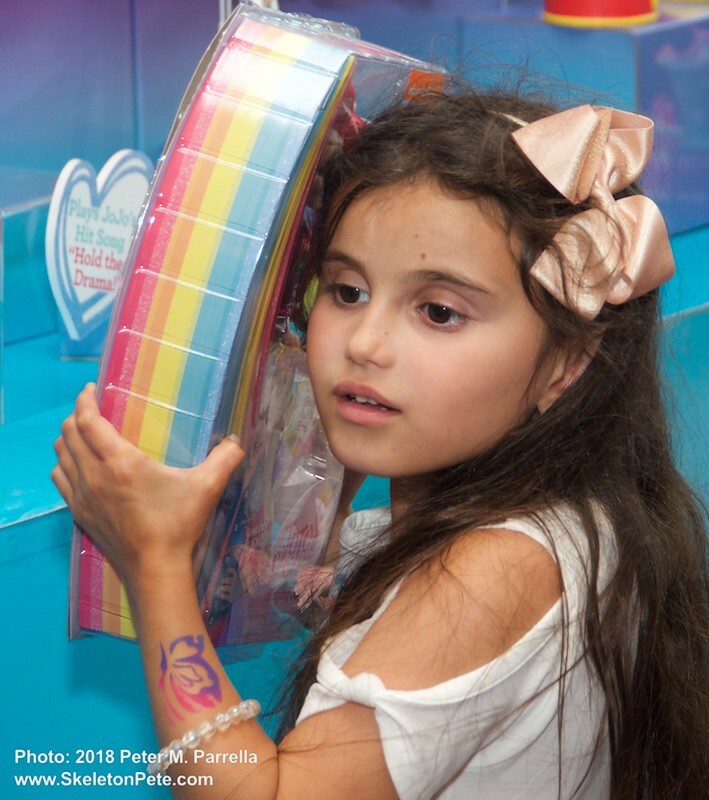 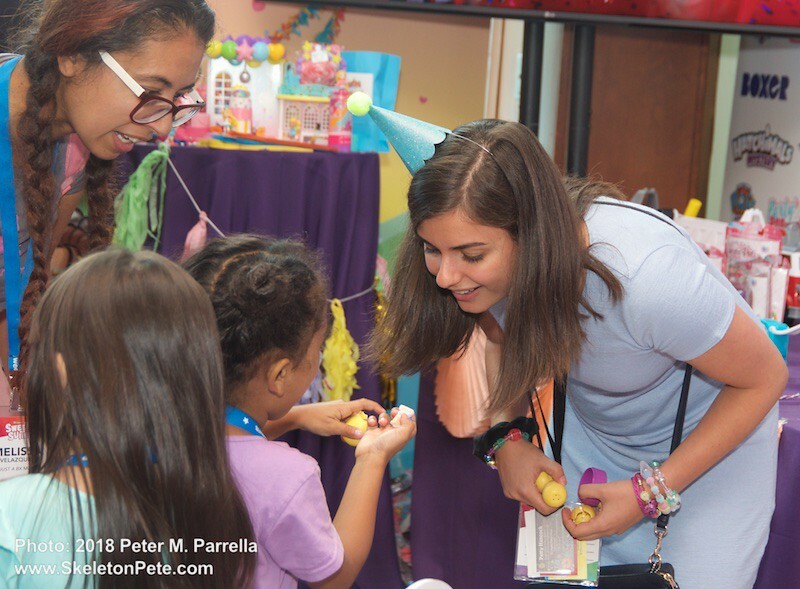 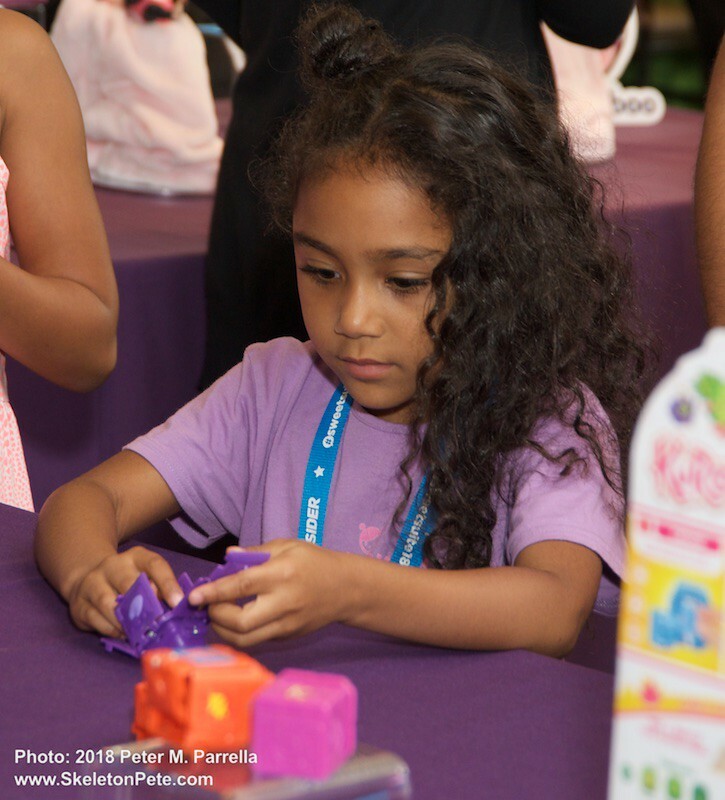 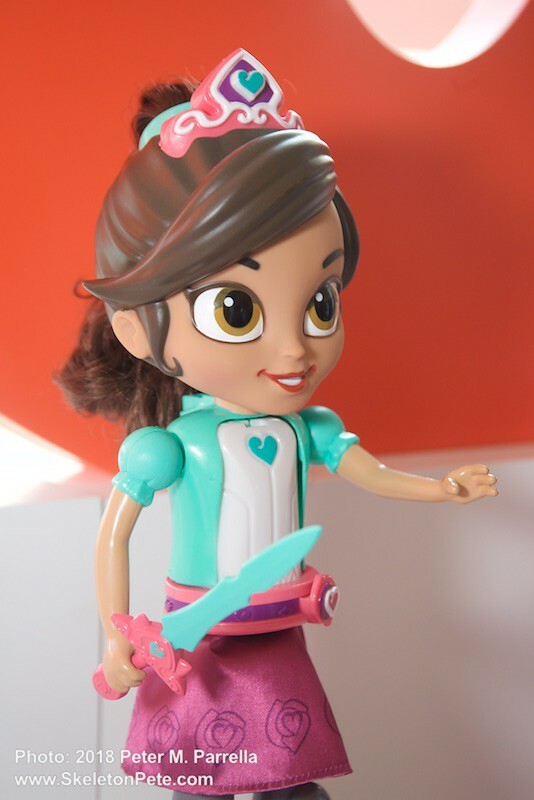 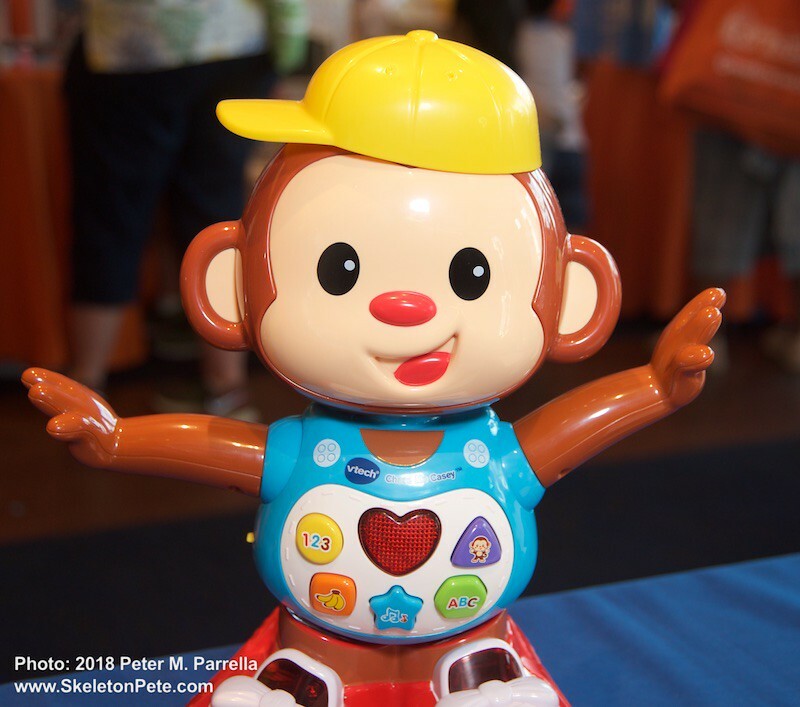 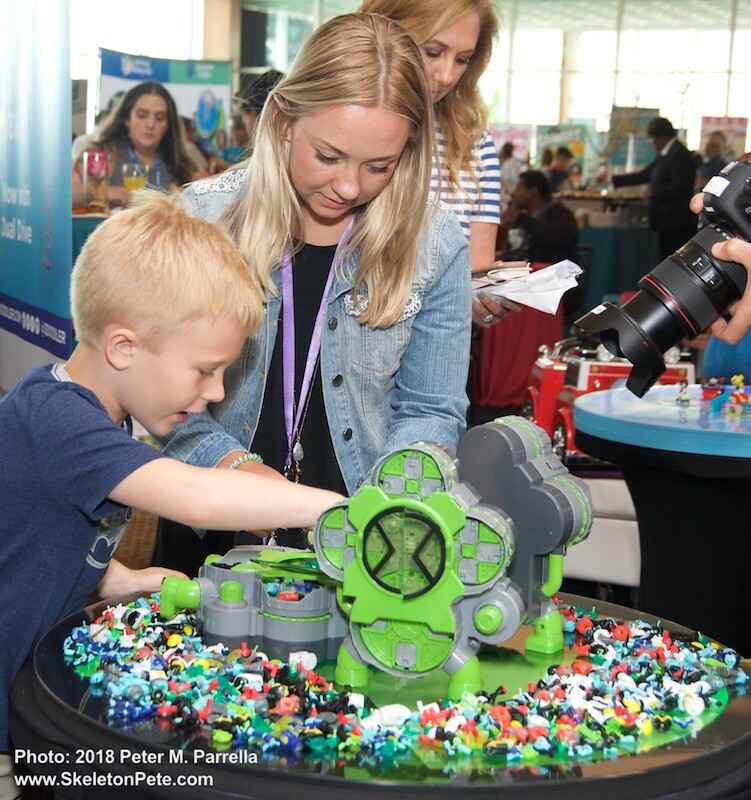 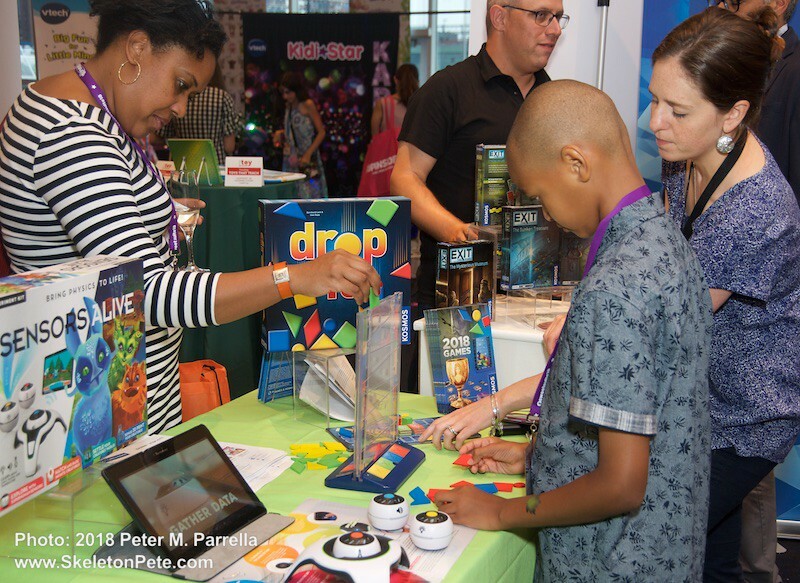 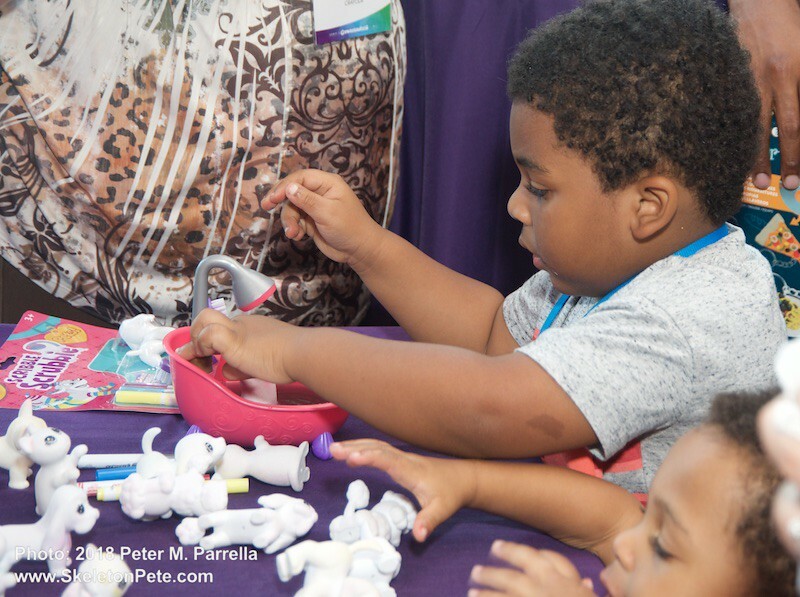 Young Bloggers and Vloggers filed their reports from Toy Insider’s Sweet Suite Event. 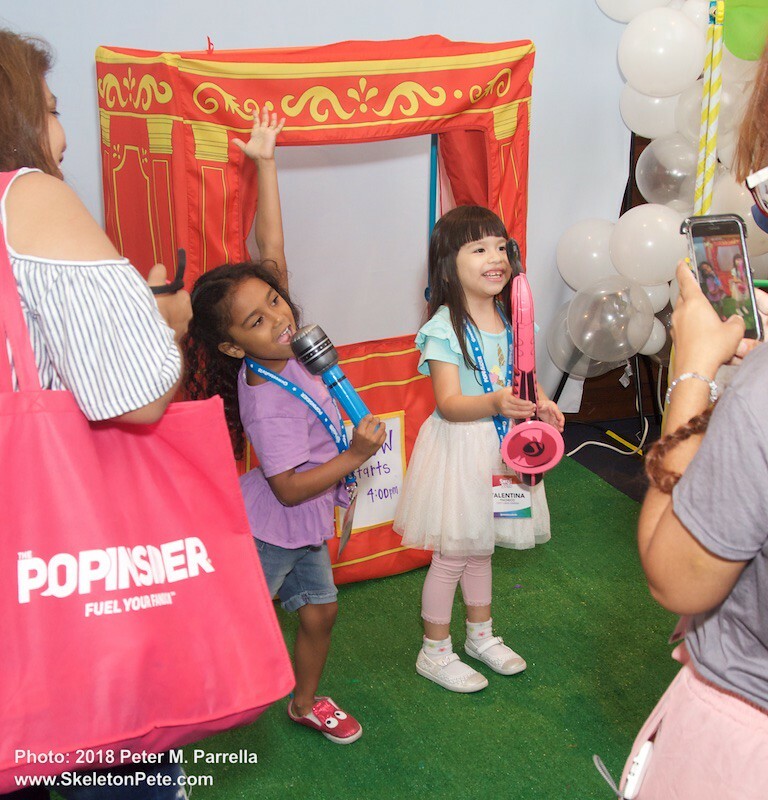 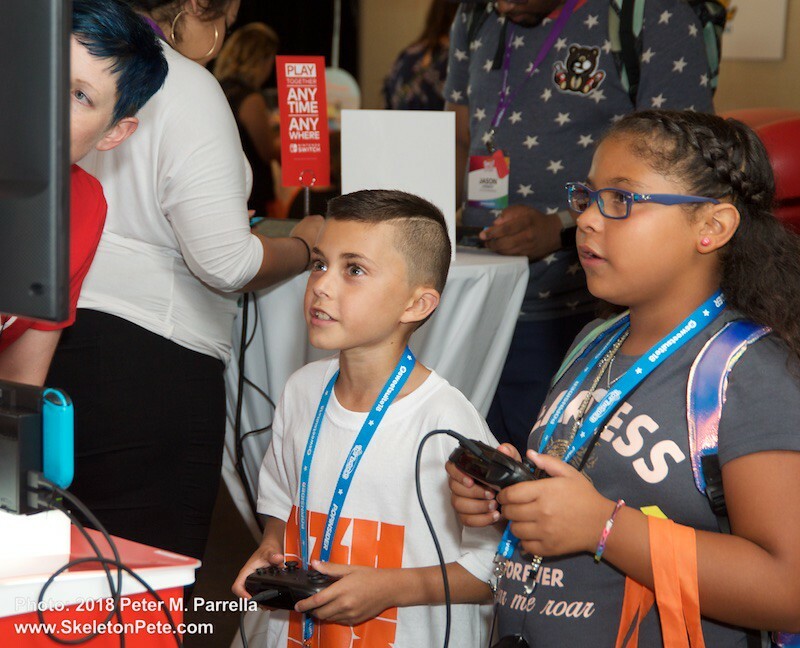 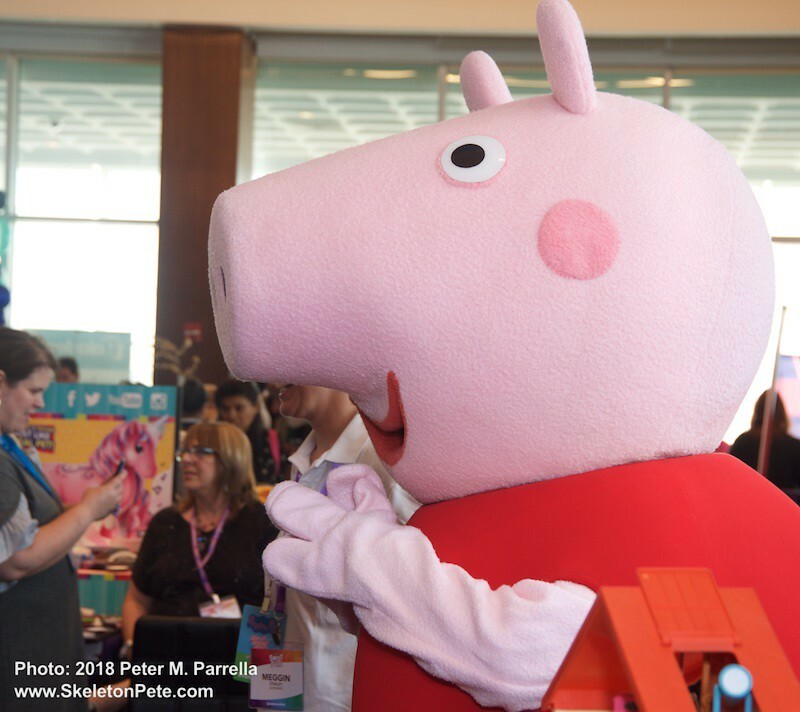 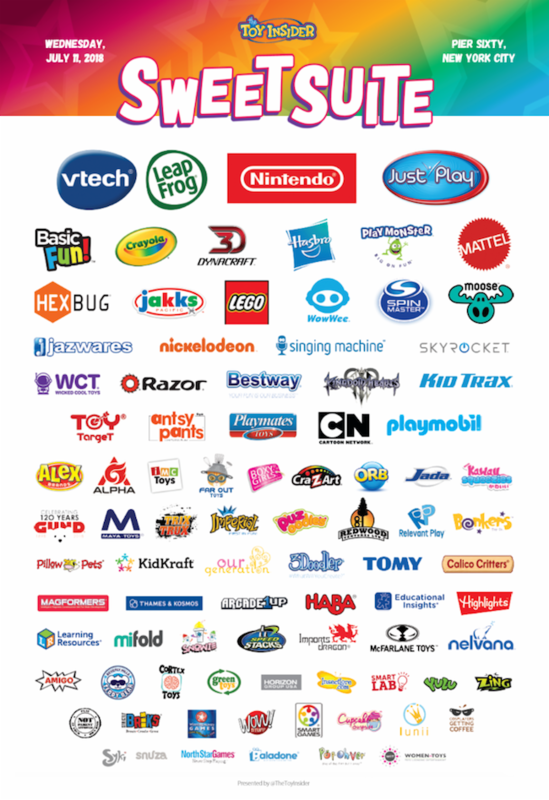 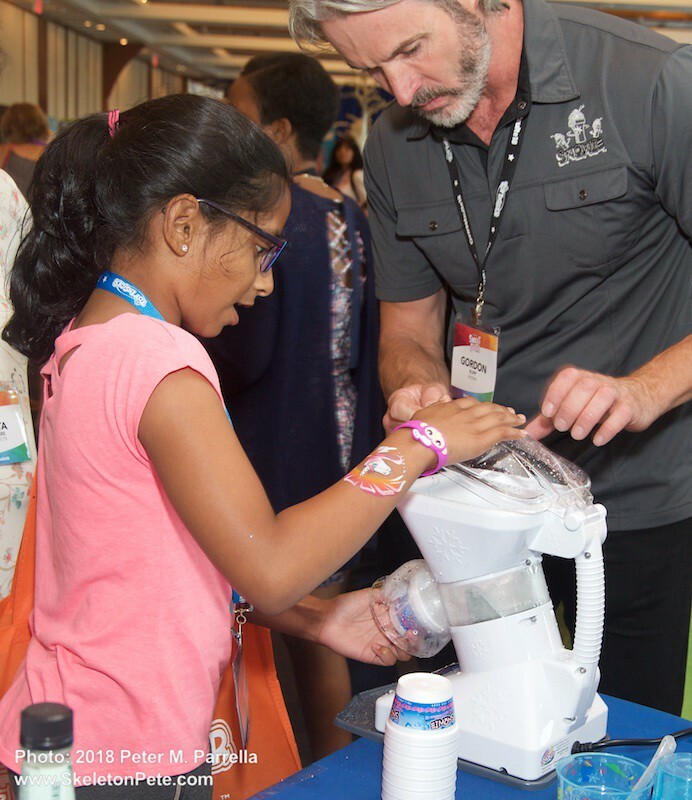 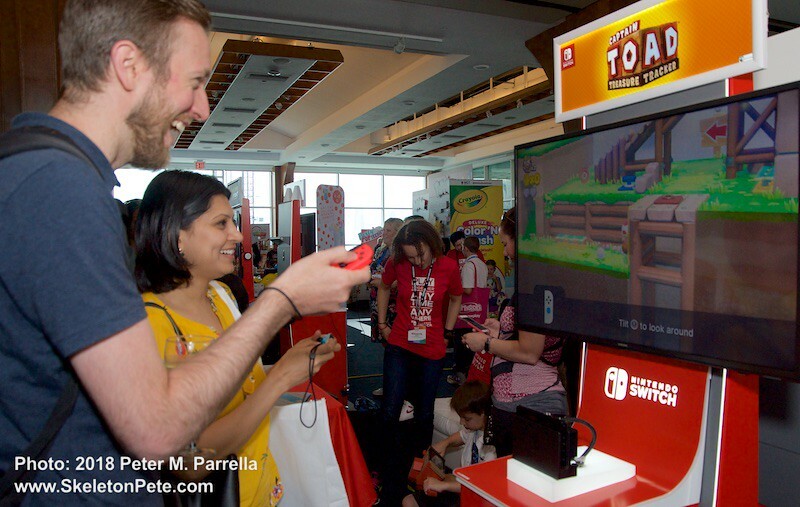 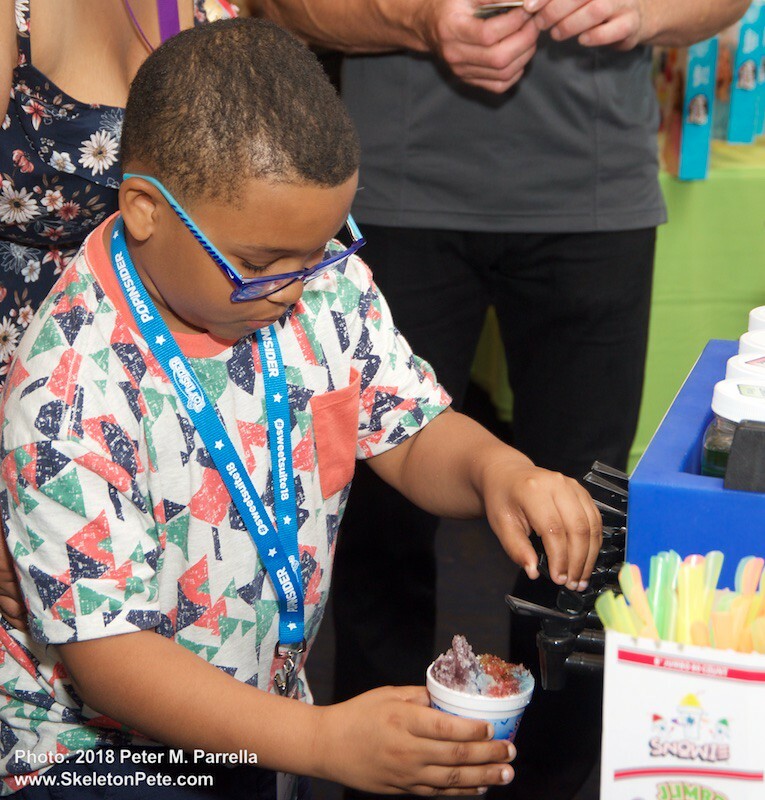 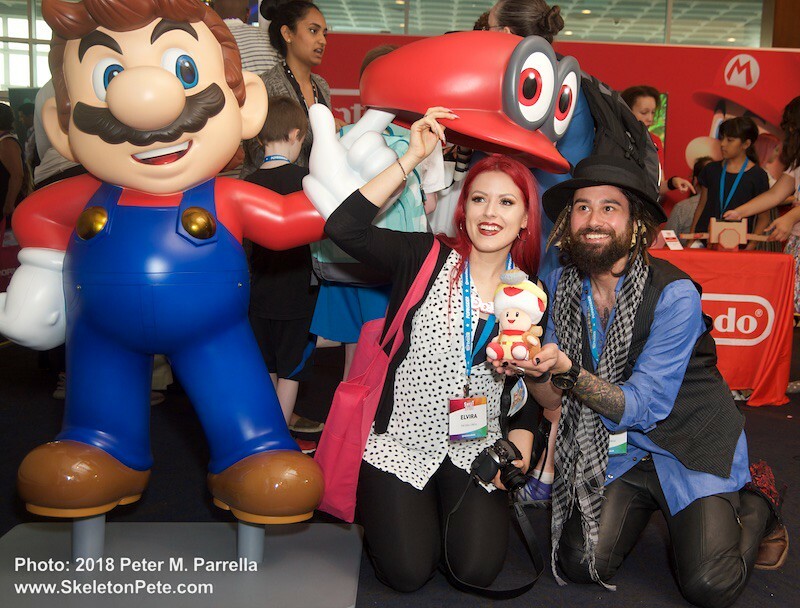 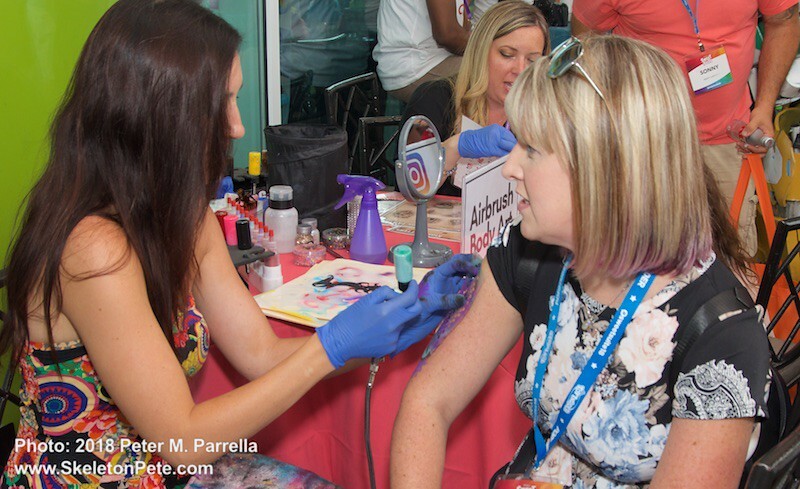 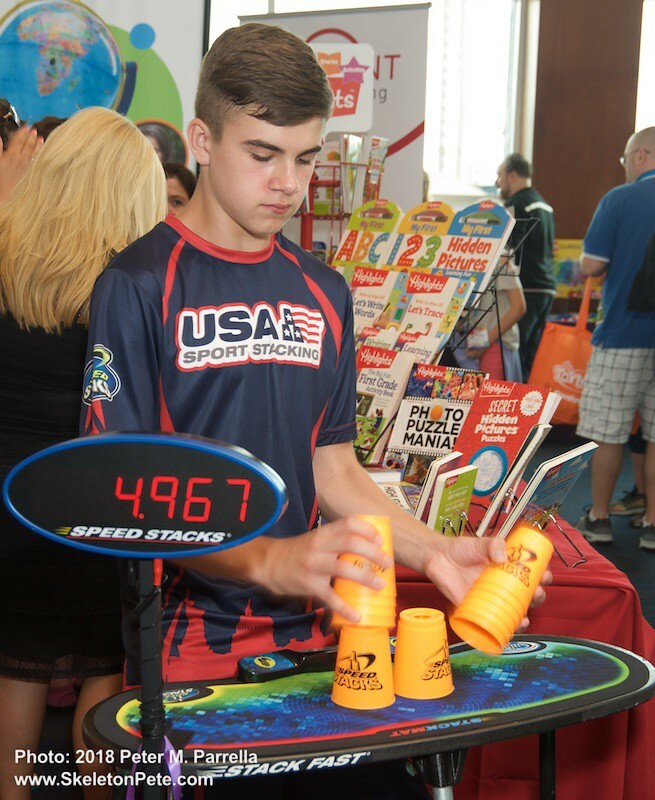 While it didn’t seem possible that it could be bigger, The Toy Insider’s summer gala expanded its scope of sponsor companies as well as it’s overall reach by inviting the top young online influencers to share the experience. 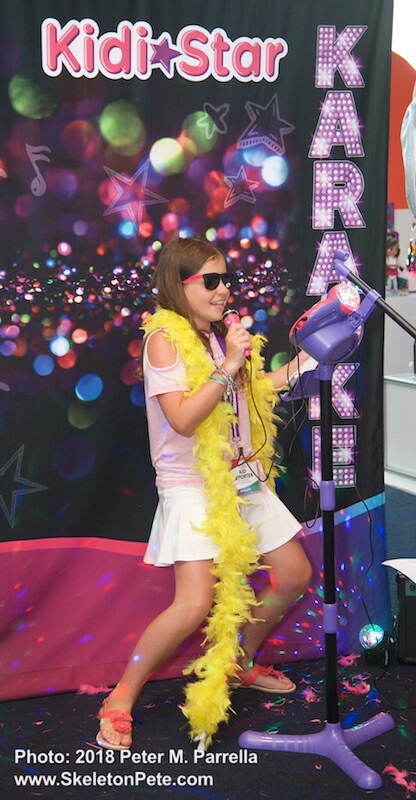 Social media has added a grassroots level to all reporting with blogging and vlogging reviewers getting younger and younger. 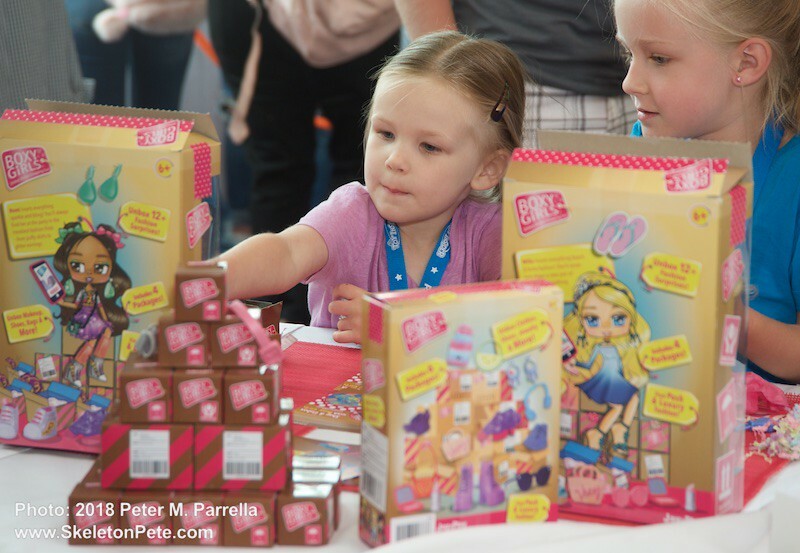 Watching the reactions of those youngsters who these products are aimed at was enlightening. 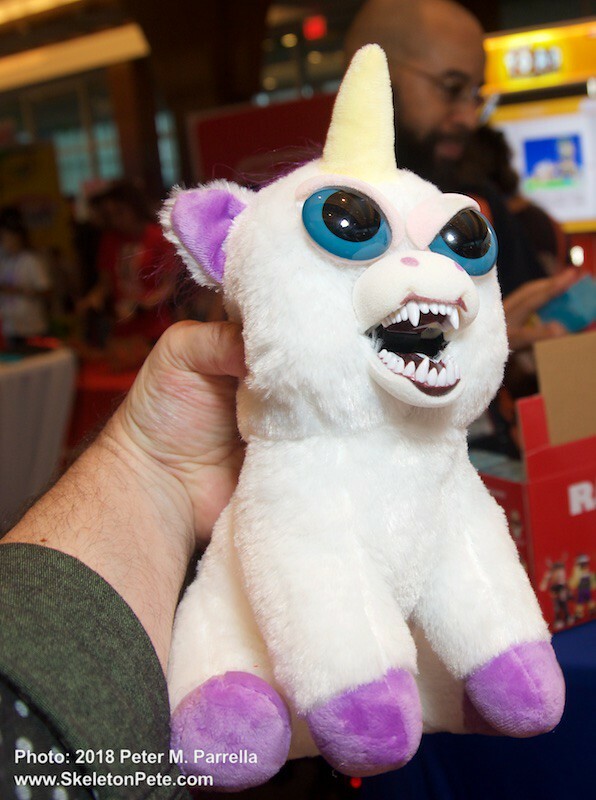 It also added an enjoyable air of freneticism to the festivities. 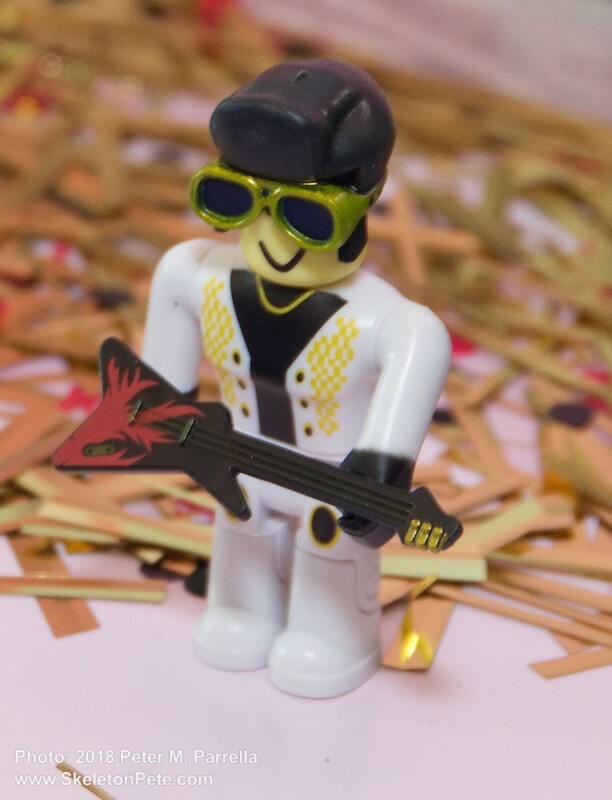 It was a party with the coolest selection of favors ever. 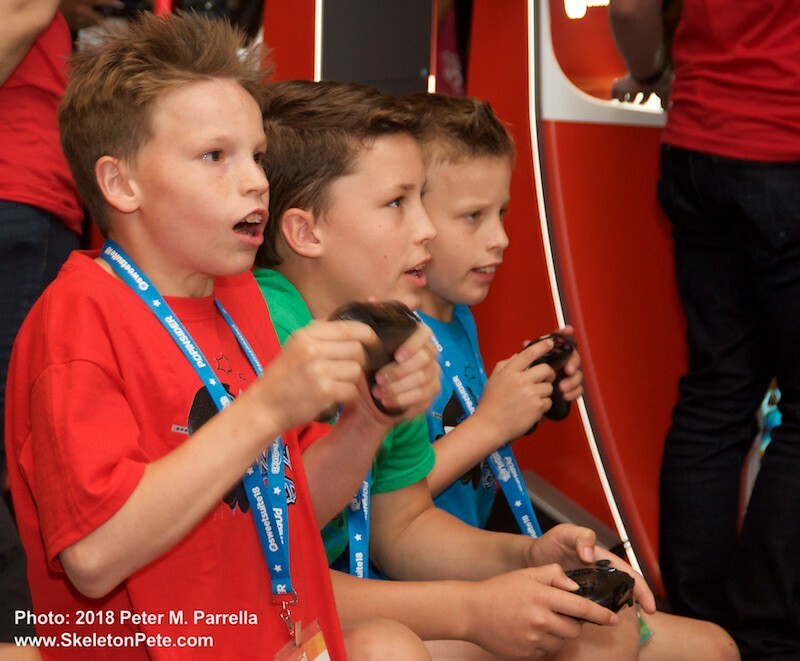 We think our image gallery reveals a wealth of authentic “eureka” moments. 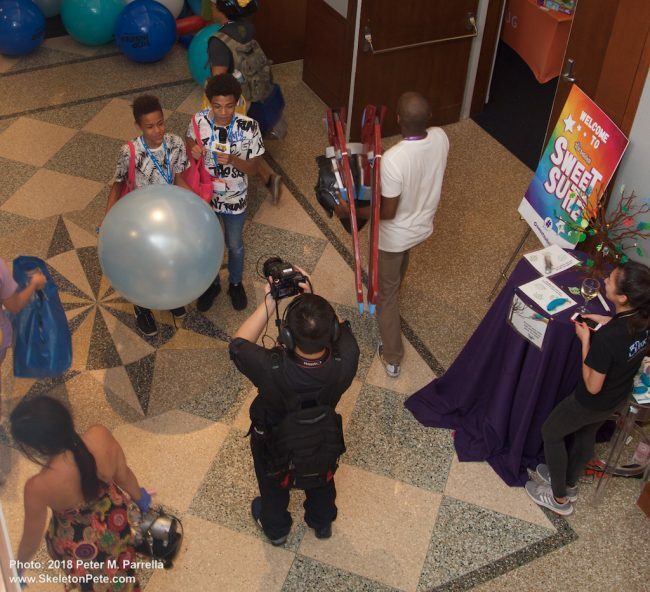 Not just the balloons were popping. 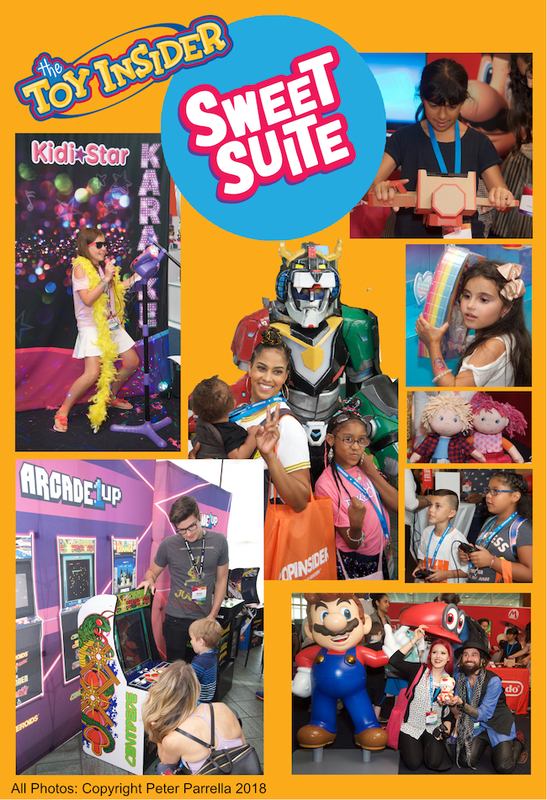 Sweet Suite 18 also inaugurated TI’s sister project The PopInsider which is aimed at the geek collector, binge watcher, cosplayer and general pop culture enthusiast in us all. 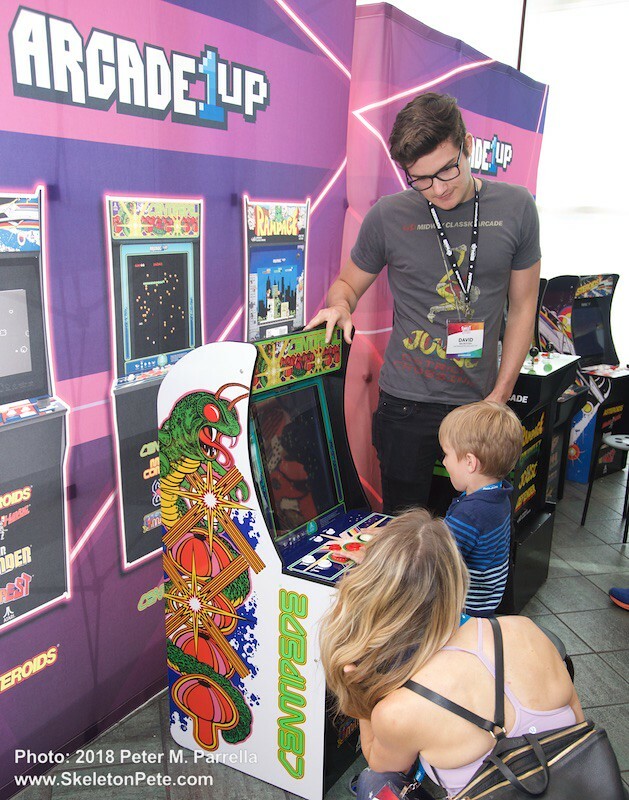 In this case age is only a number. 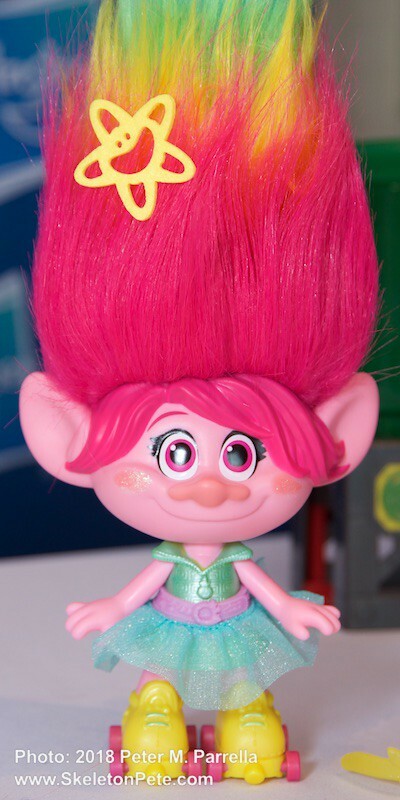 Andy was excited to learn that Stranger Things fan fave Barb will be added to McFarlane Toys‘ line of Netflix licensed action figures this coming fall. 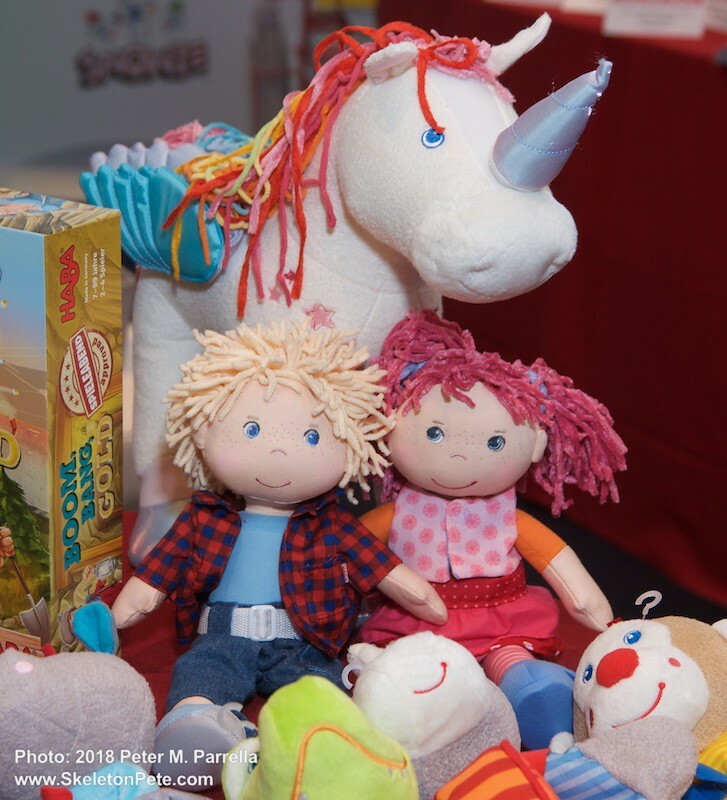 Our review items (AKA “Swag Boxes”) have arrived and we’re excited to offer in-depth reports on our favorite playthings for the upcoming season. 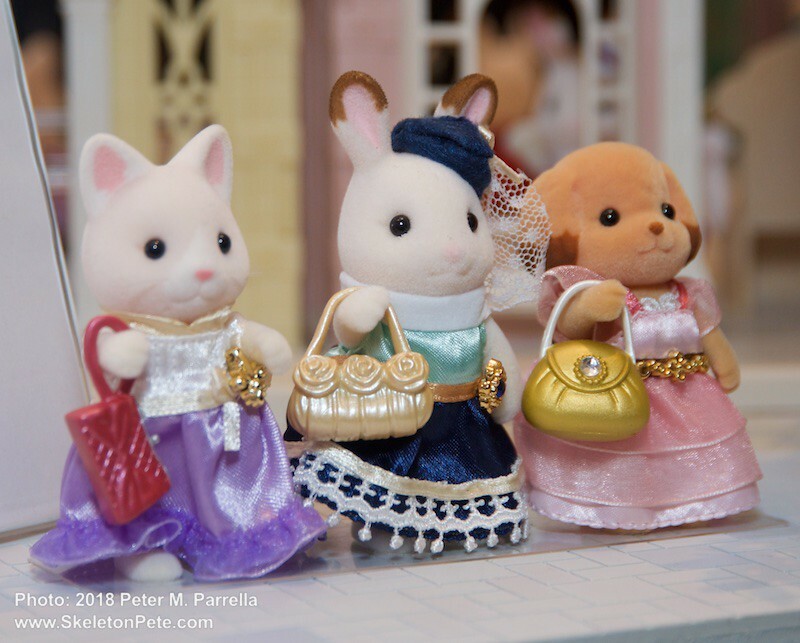 In the meantime enjoy the gallery overview of this special day.